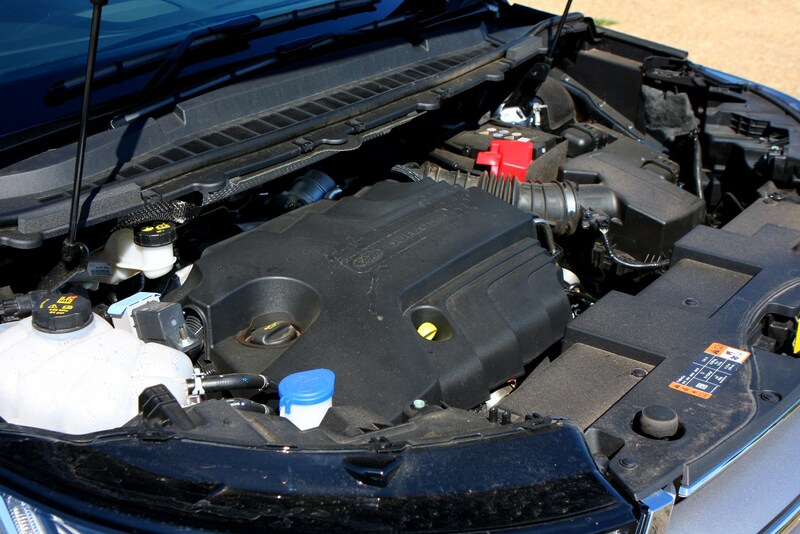 Insurance group: 25 - 34 How much is it to insure? 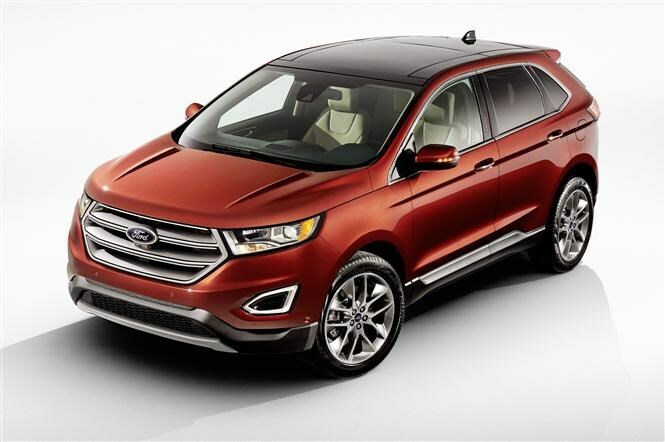 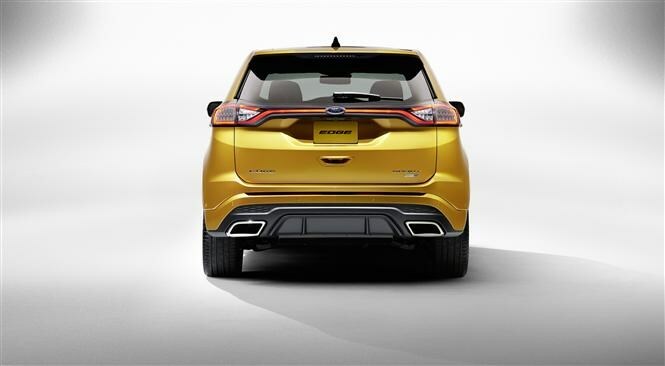 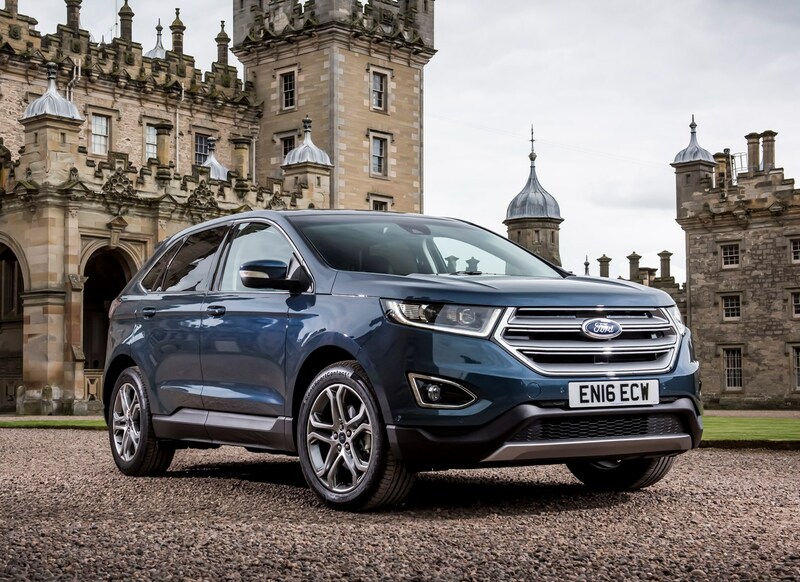 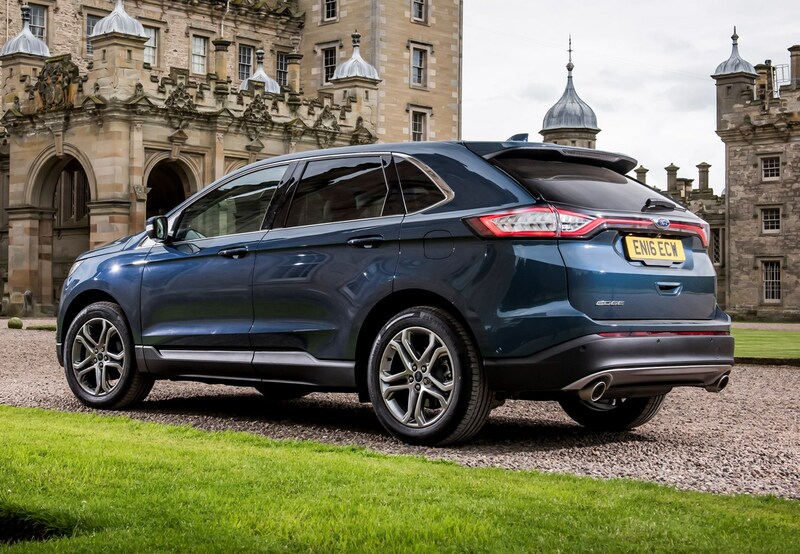 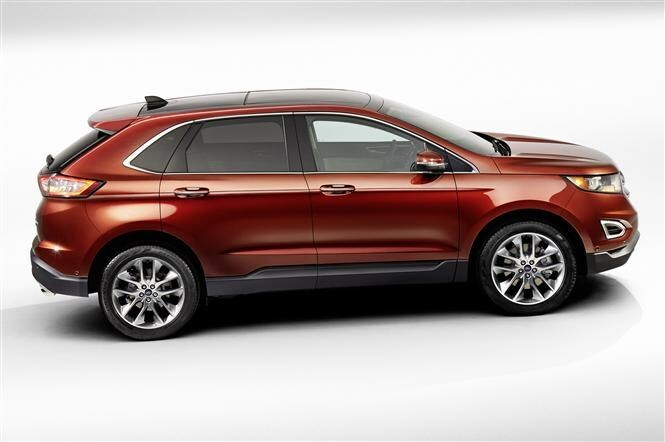 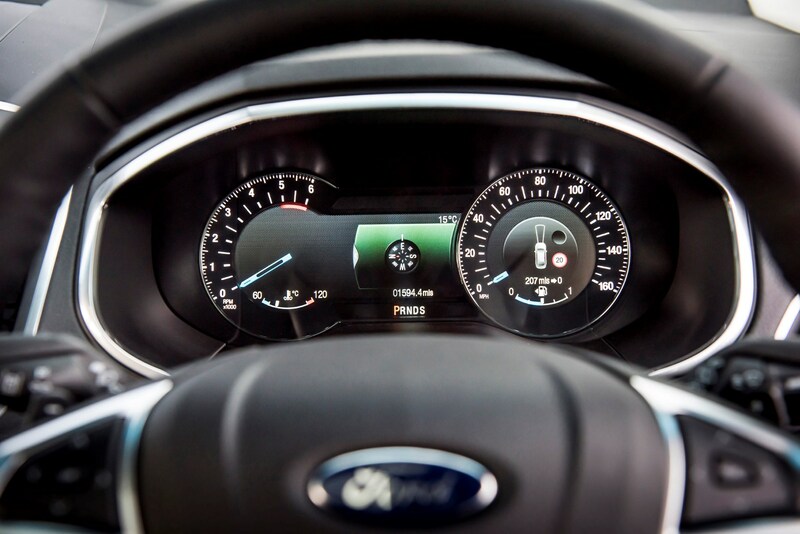 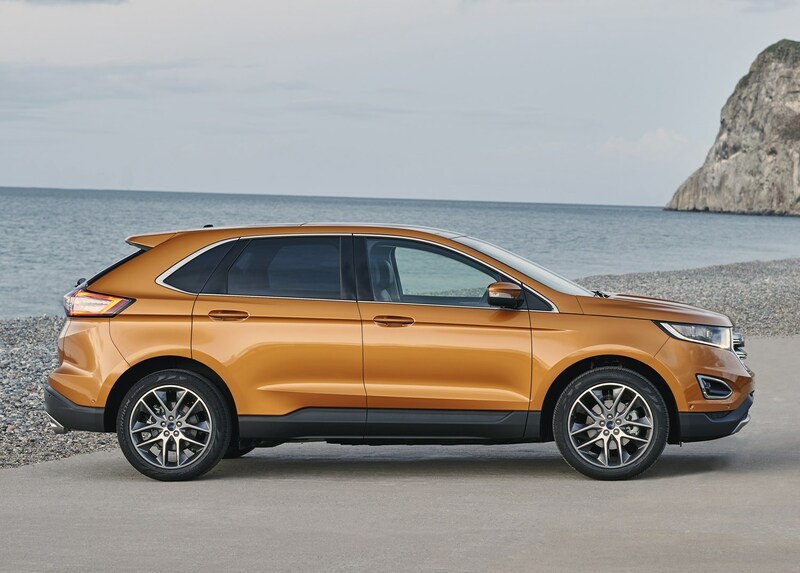 Not a car for shrinking violets, the Ford Edge is the first large, North American SUV from the company to hit British shores since the gas-guzzling Explorer more than a decade ago. 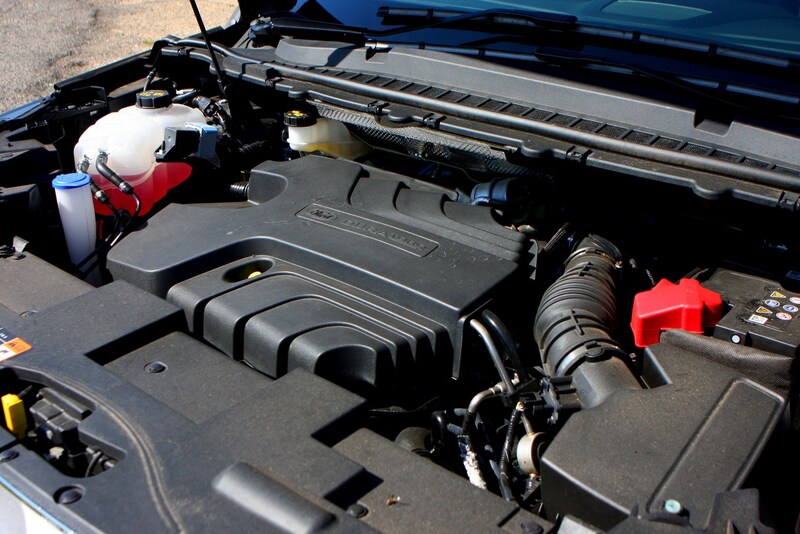 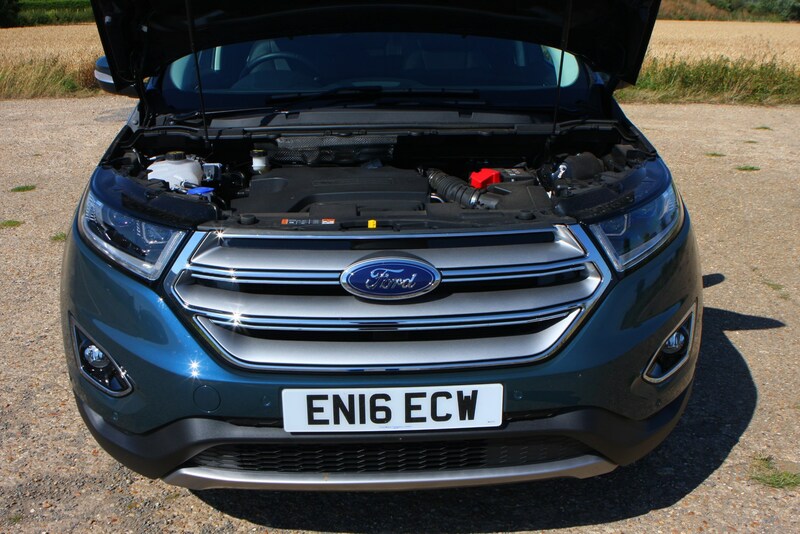 What's different this time around is that pair of diesel engines make it much more appealing to customers than its predecessor. 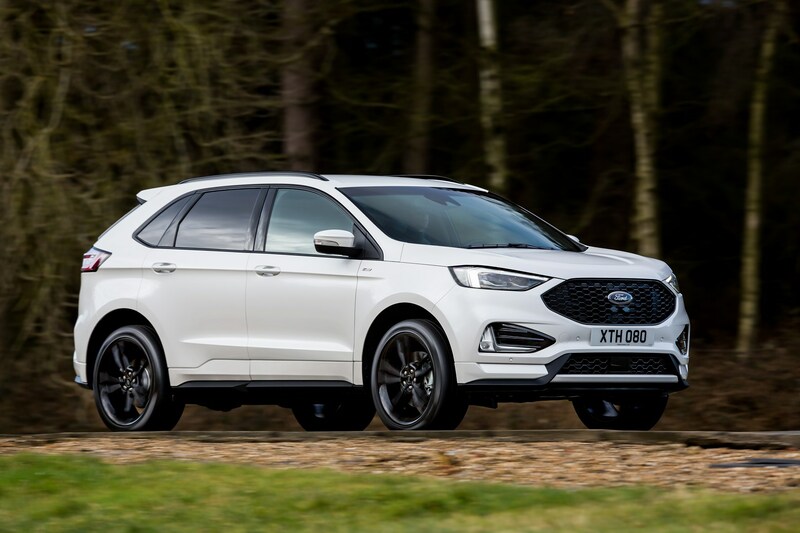 Being around the same size as the upmarket Volkswagen Touareg but priced more closely to theHyundai Santa Fe, Ford hoped that the Edge would replicate the success of the Volvo XC60 and appeal to a market of affluent, family-oriented buyers. 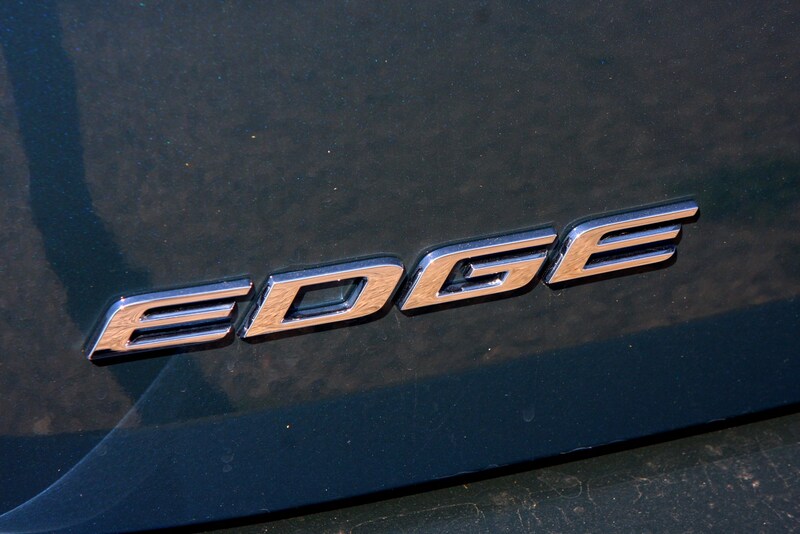 While that's not happened, the Edge is proving itself to be a popular choice in this sector. 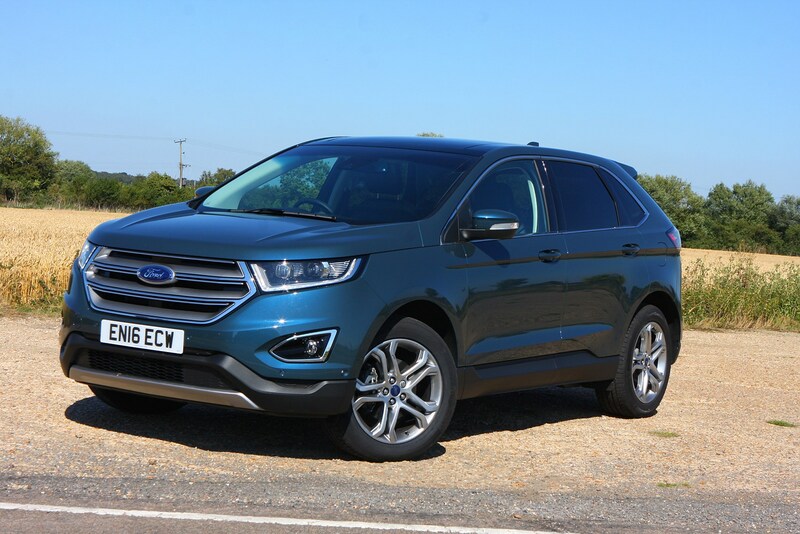 With a glut of diverse upmarket off-roaders including the Jaguar F-Pace, Land Rover Discovery Sport and Mercedes-Benz GLC available for similar money, the challenge for Ford is to match the plush feel of these models but for a much lower like-for-like price. 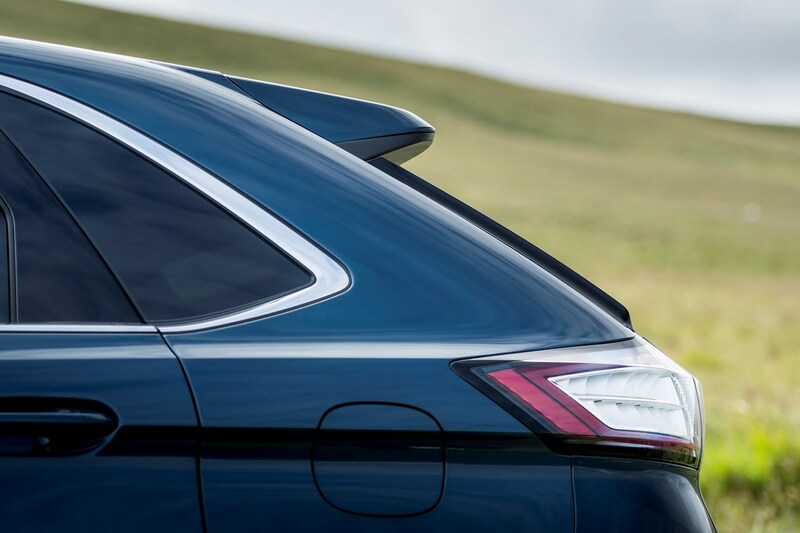 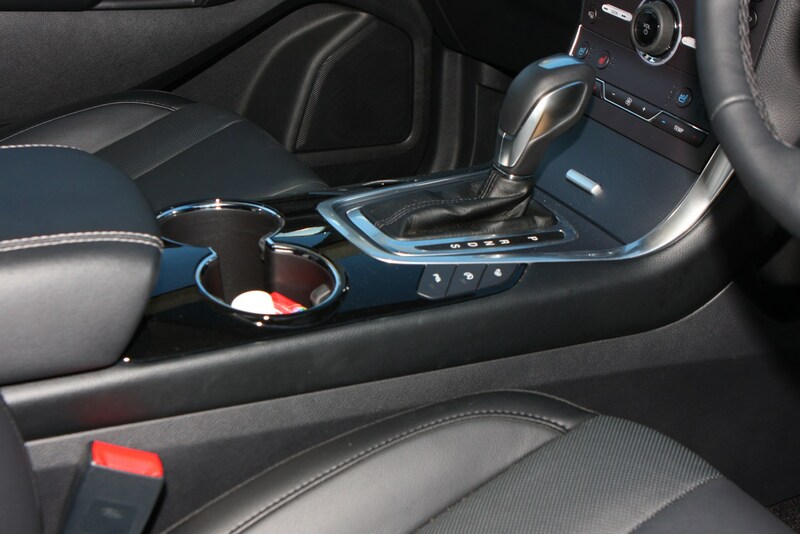 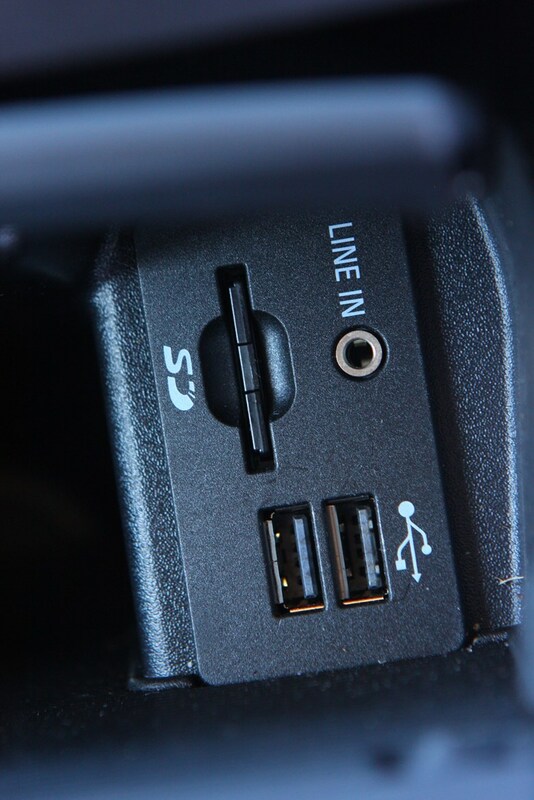 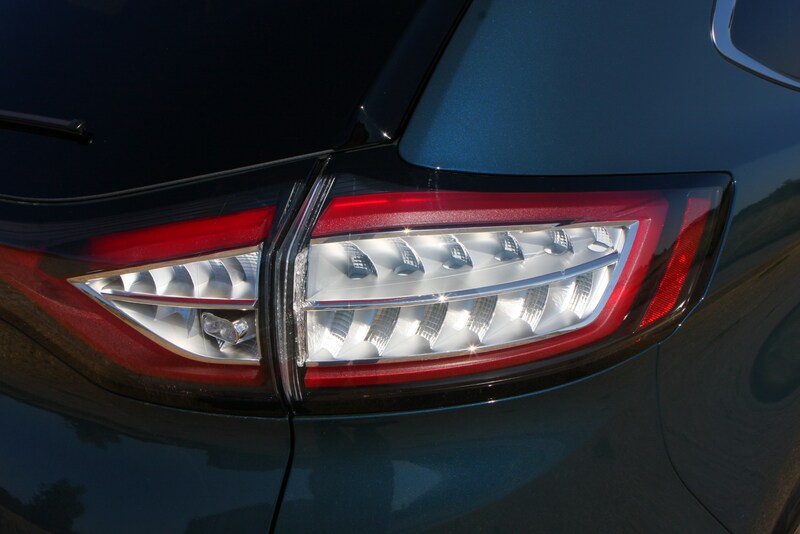 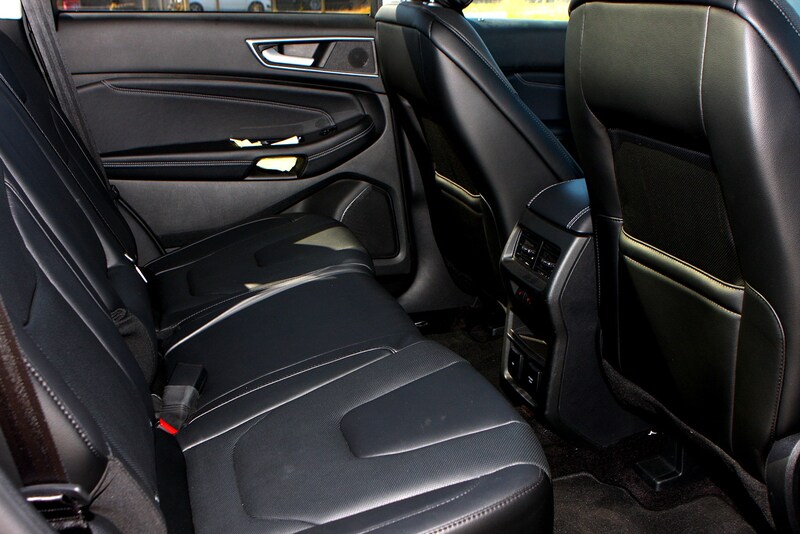 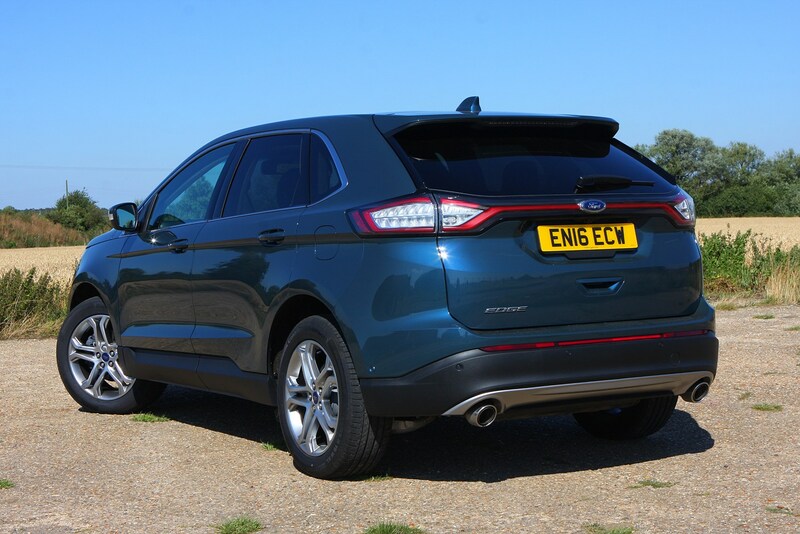 While it doesn't quite pull this off, even in flagship Vignale guise, it feels fine given how much the Edge costs. 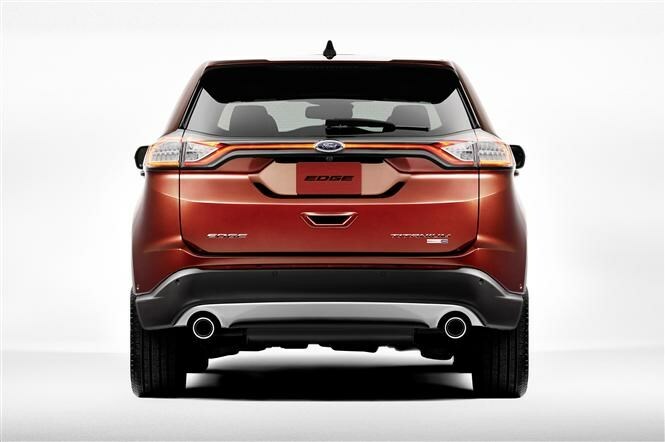 The Canadian-built Edge has been engineered to sell around the world, adapted slightly for regional tastes. 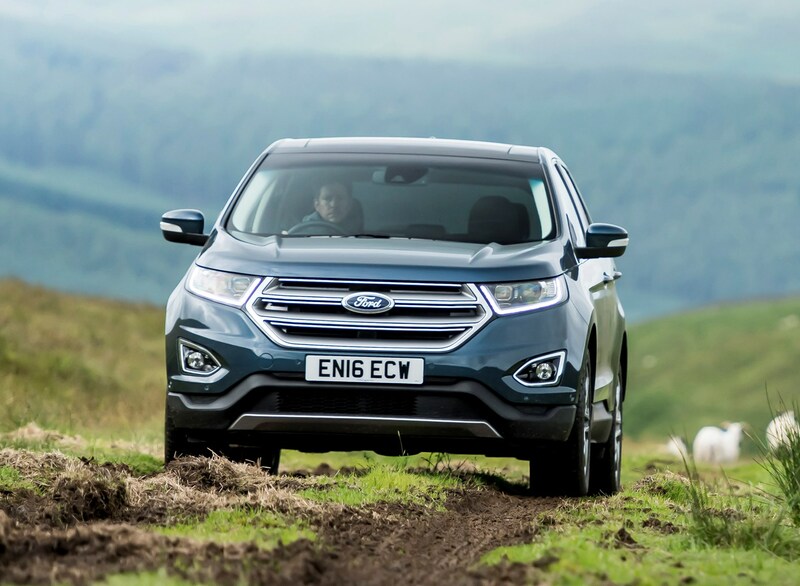 To ensure that more than just a North American SUV foisted upon Europeans (see Explorer above), Ford has spent a lot of money on the car's engineering and construction so that it can handle the stiffer suspension and sharper steering needed for faster, more winding roads in this contentinent. 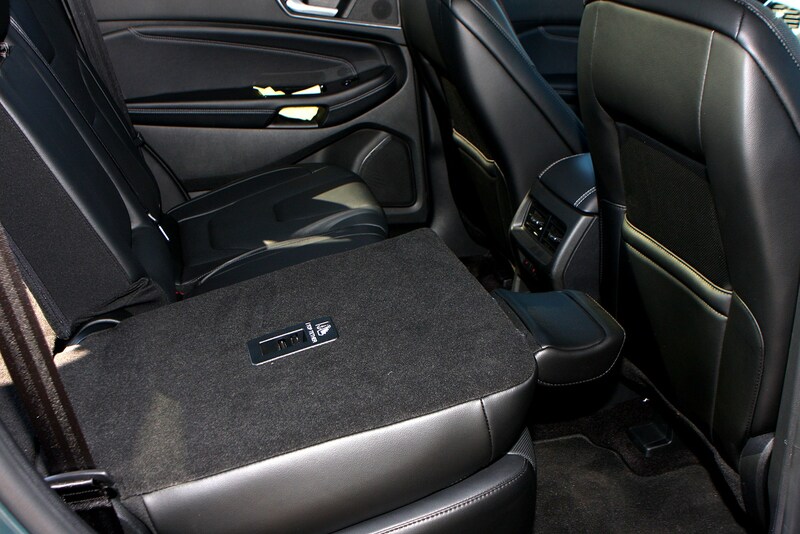 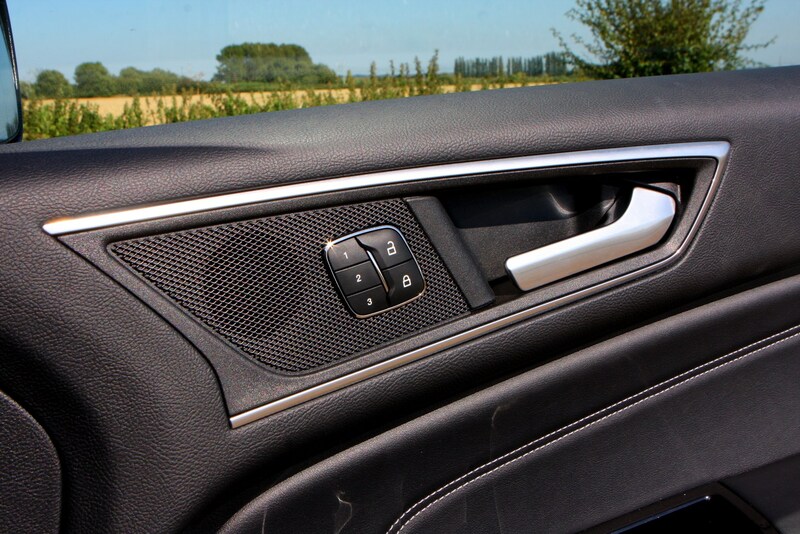 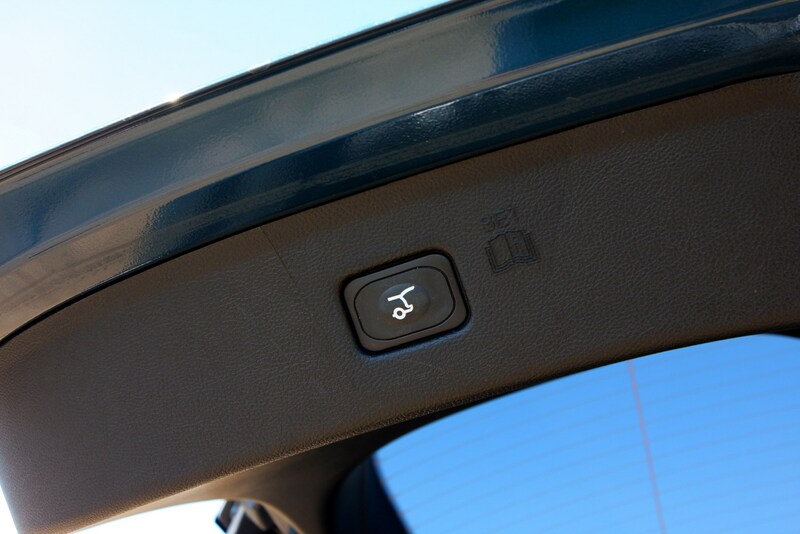 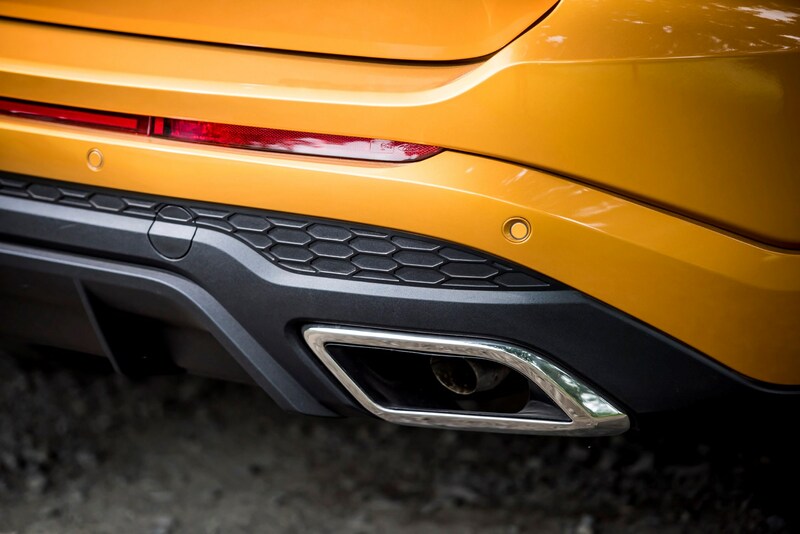 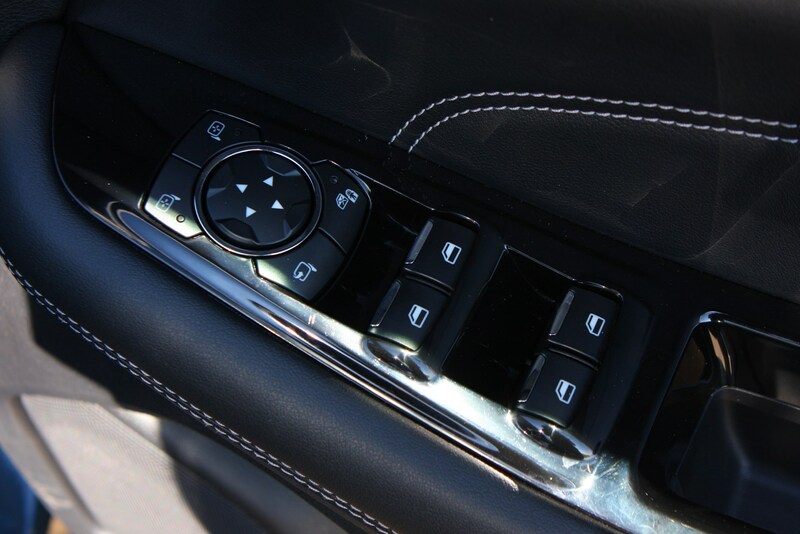 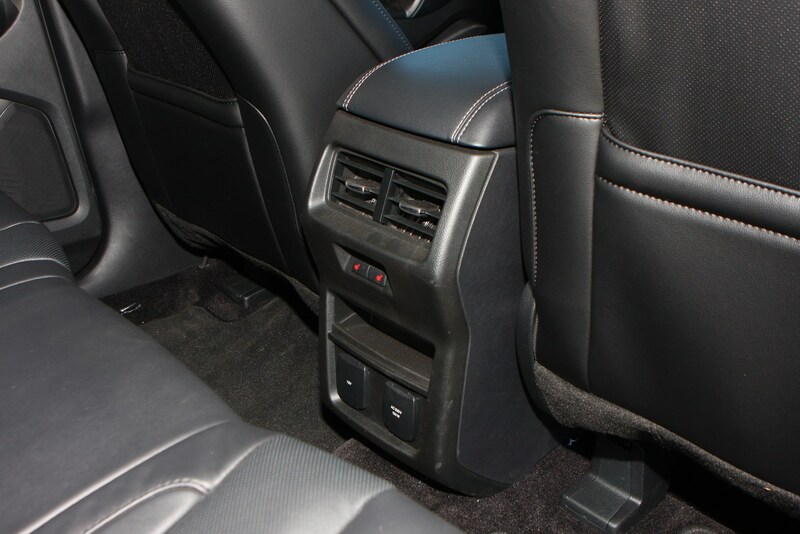 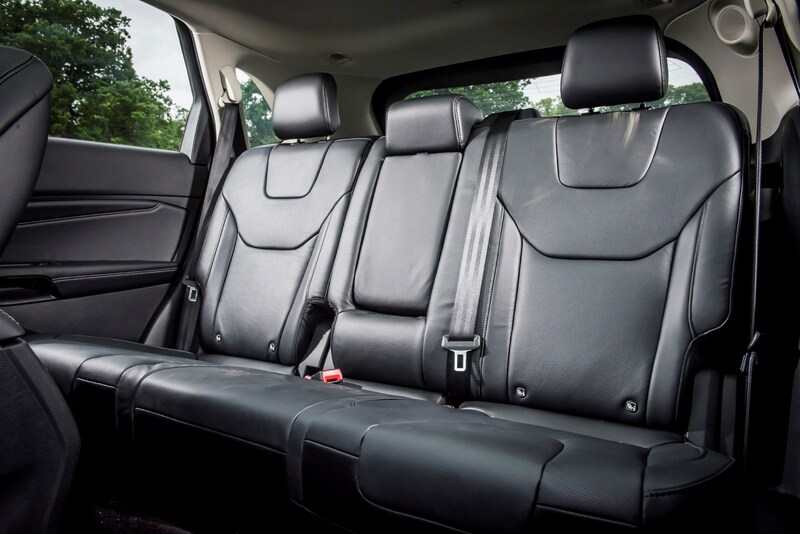 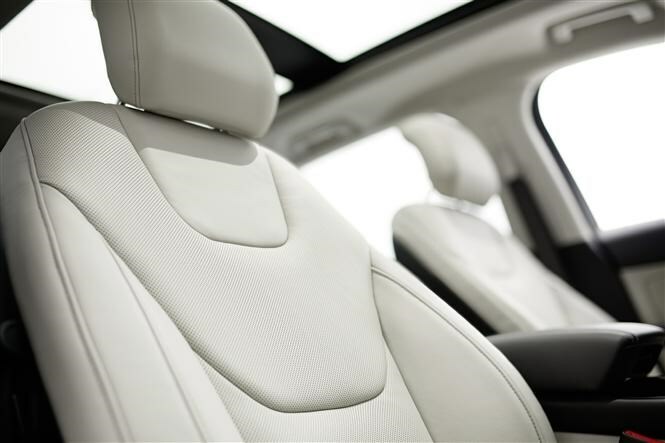 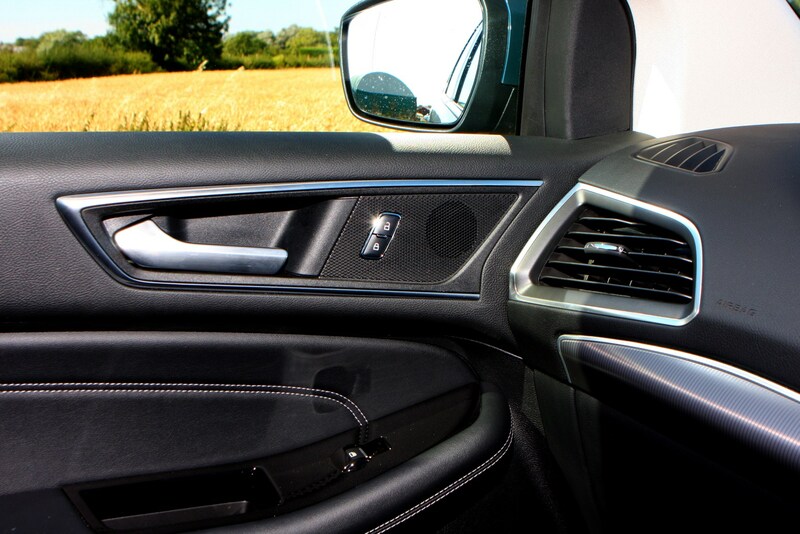 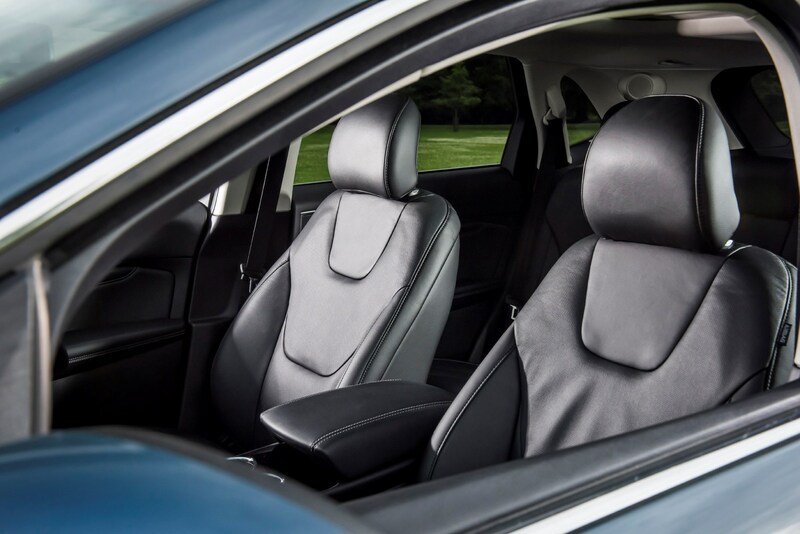 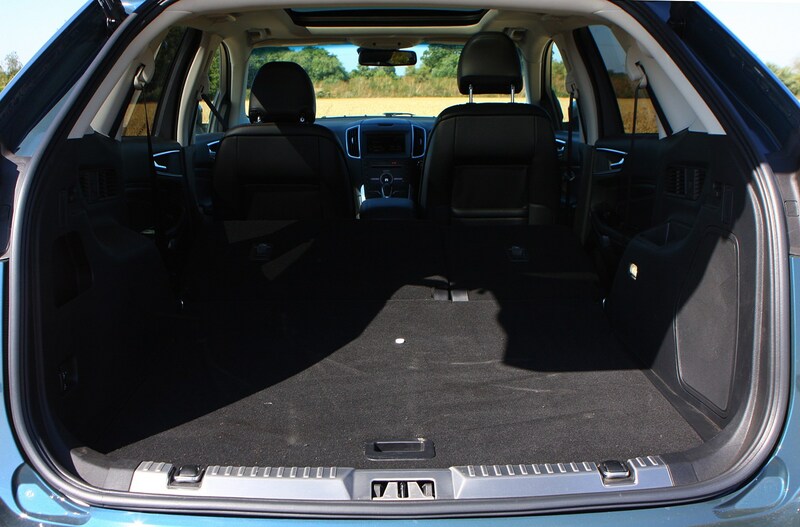 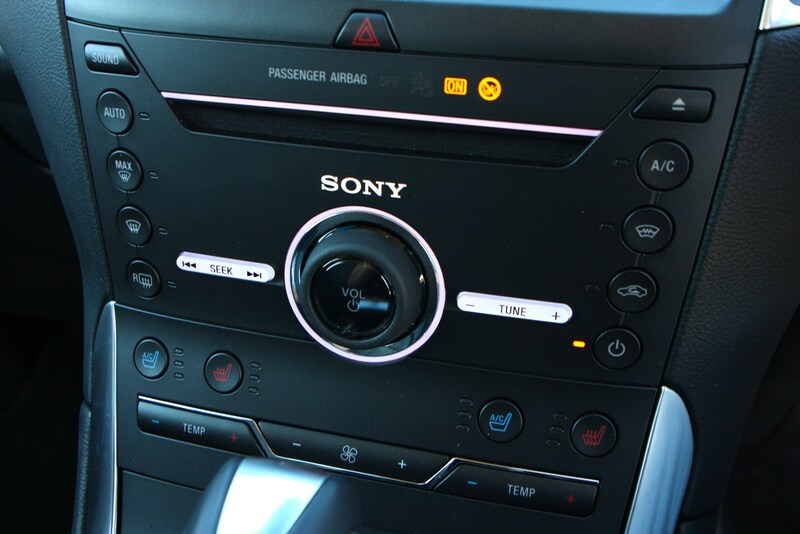 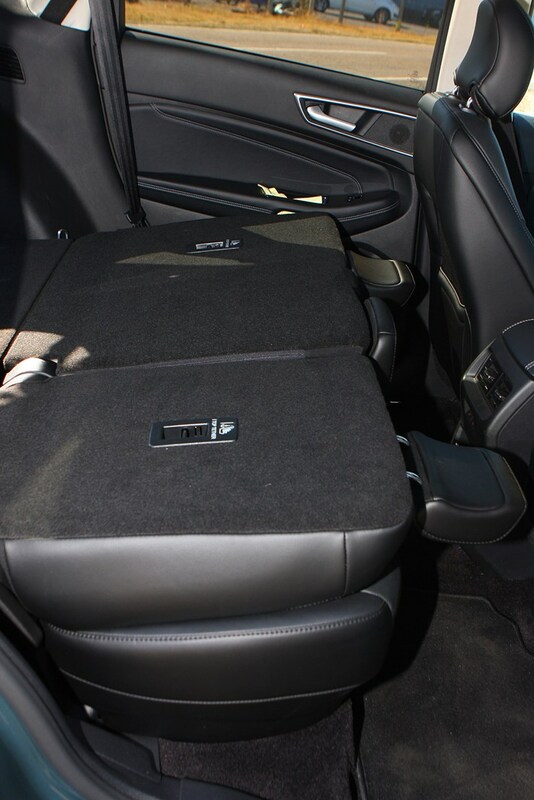 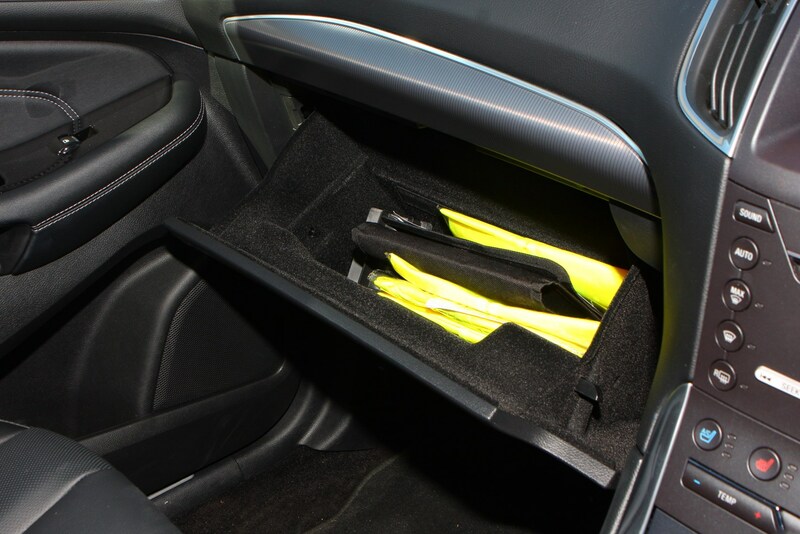 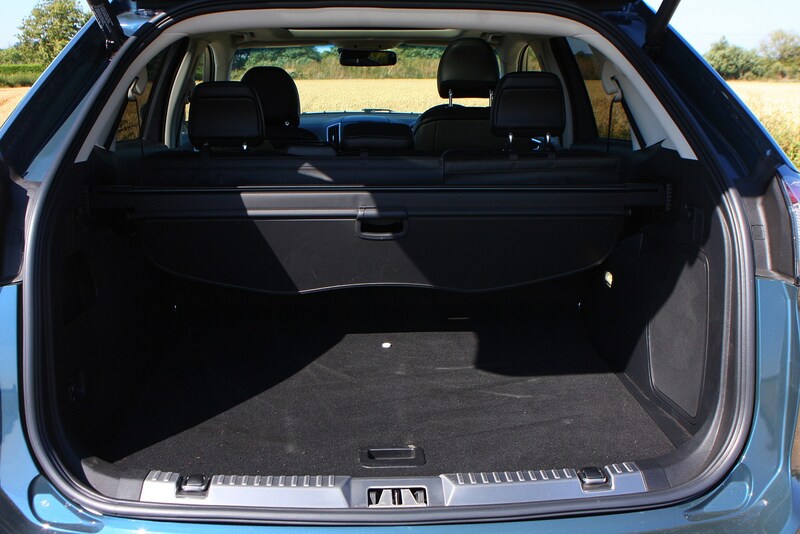 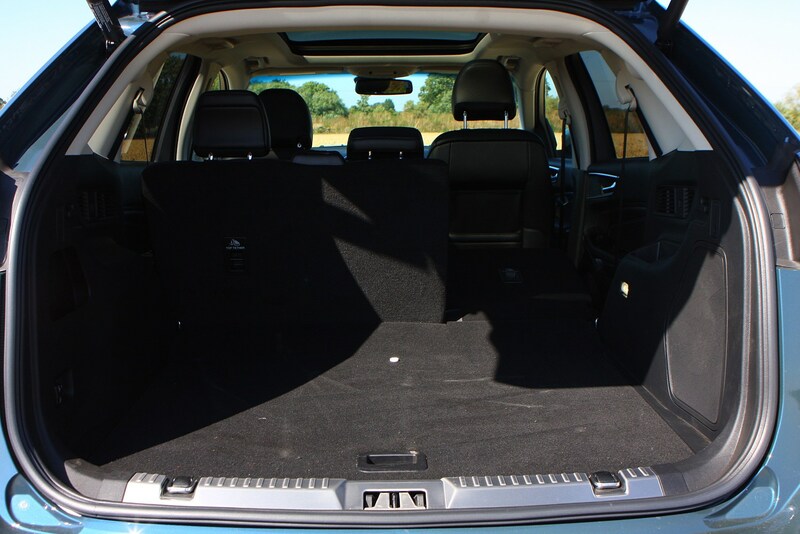 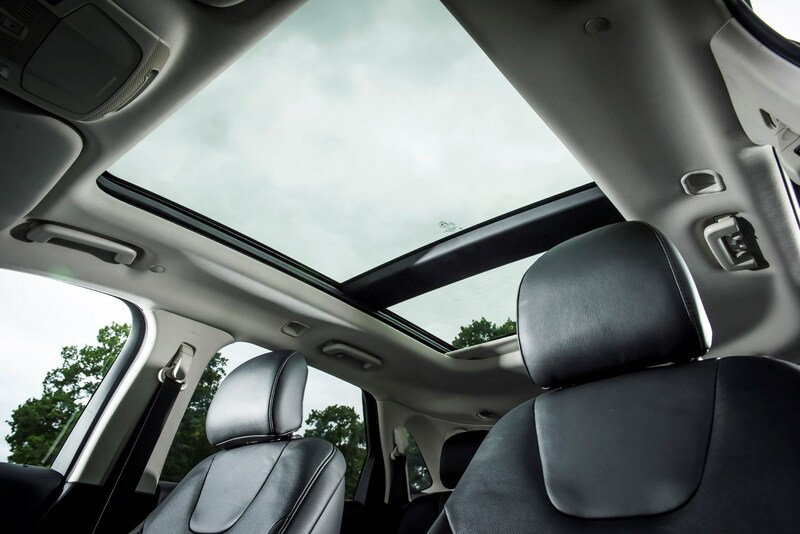 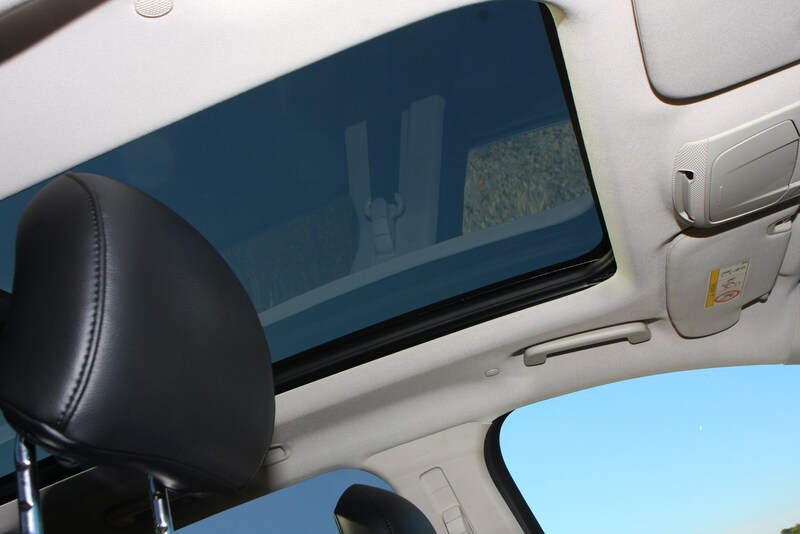 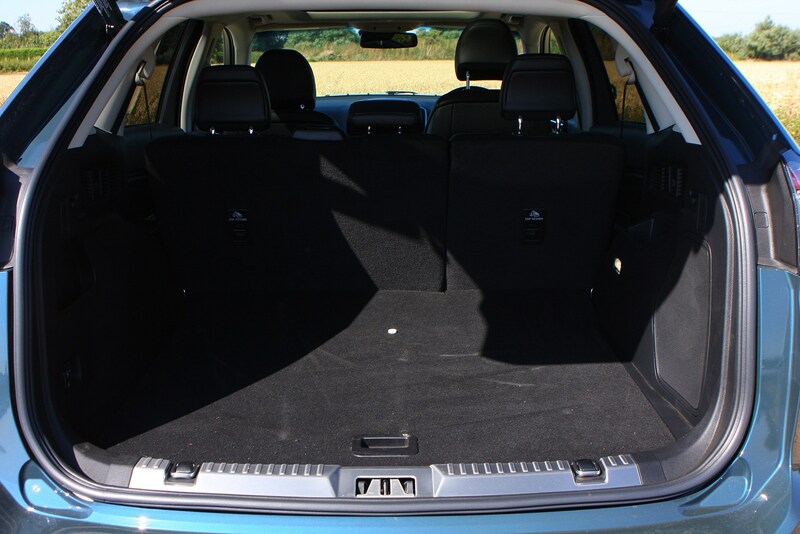 It has also added additional soundproofing to meet the refinement levels expected by European buyers. 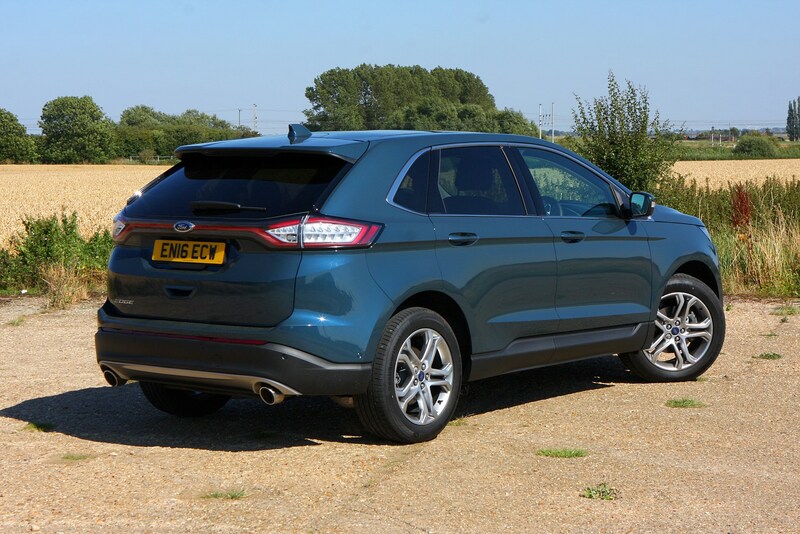 Largely it's proved successful, being a sharper, more enjoyable steer than the Mondeo range that it shares its underpinnings with. 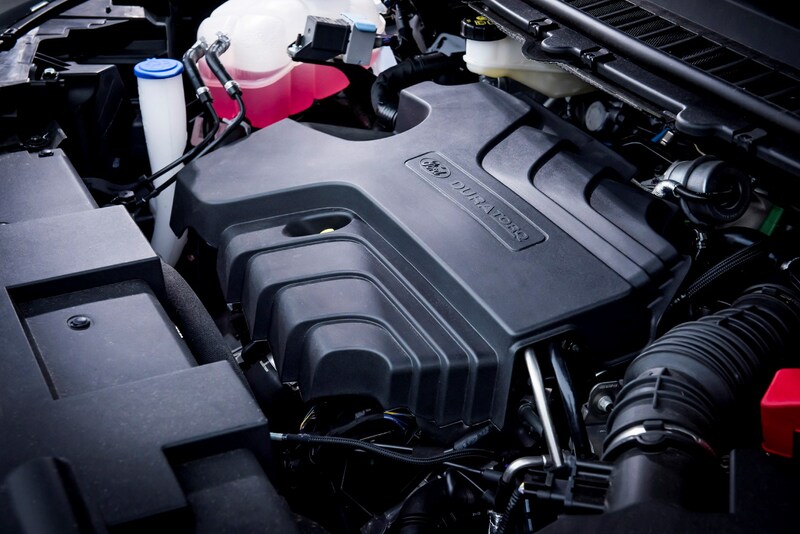 There are two 2.0-litre diesel engines available: a 180hp unit and a 210hp bi-turbo version of essentially the same motor. 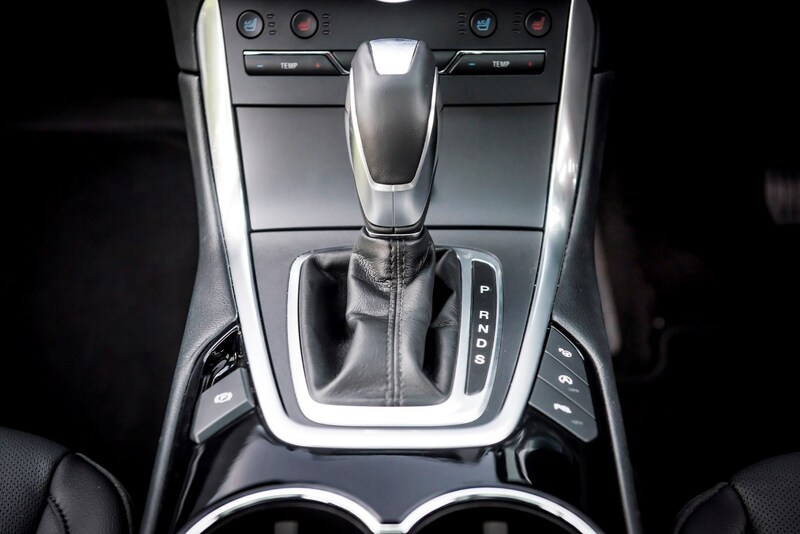 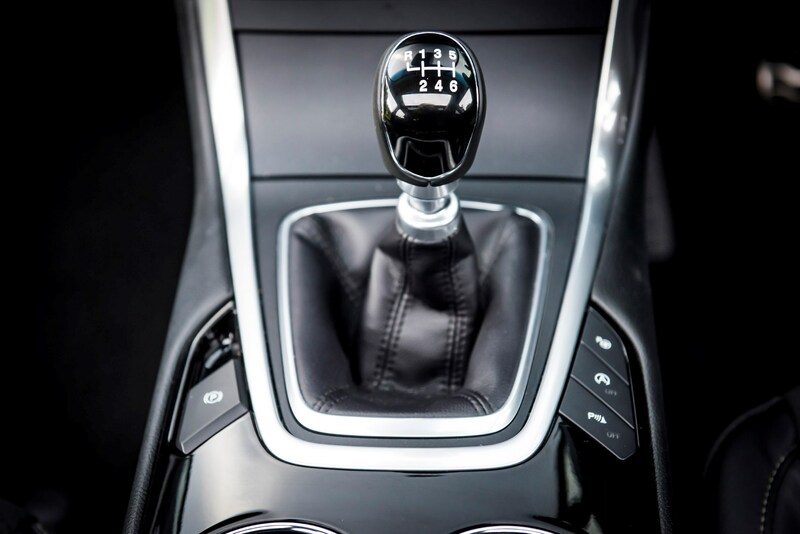 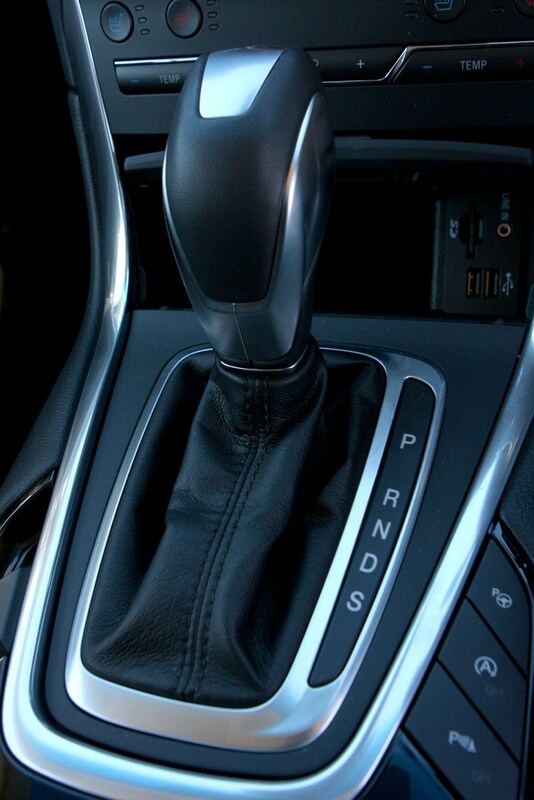 The less powerful version comes with a six-speed manual, while the 210hp motor is only available with a six-speed PowerShift automatic. 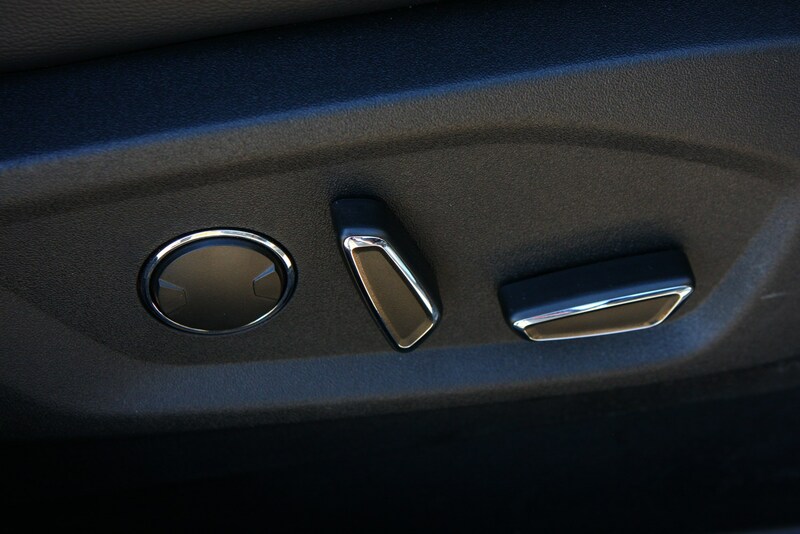 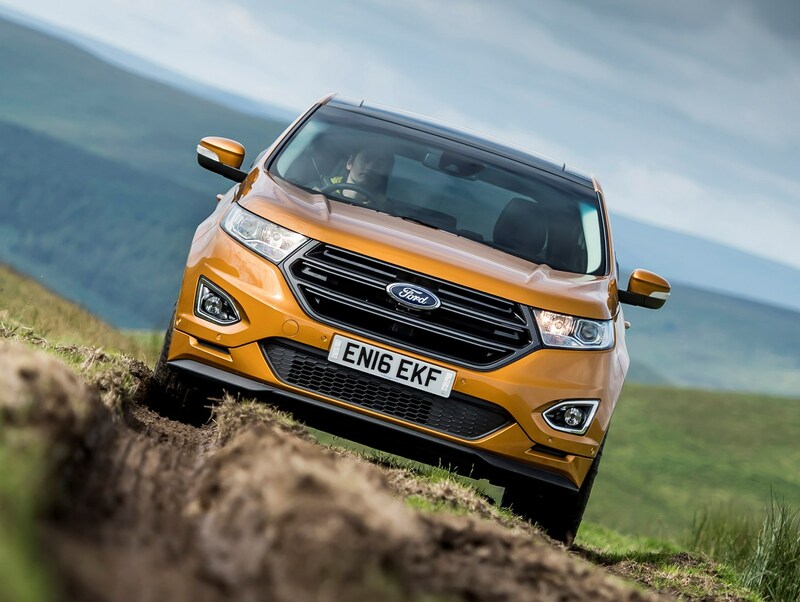 Four-wheel drive is standard across the range. 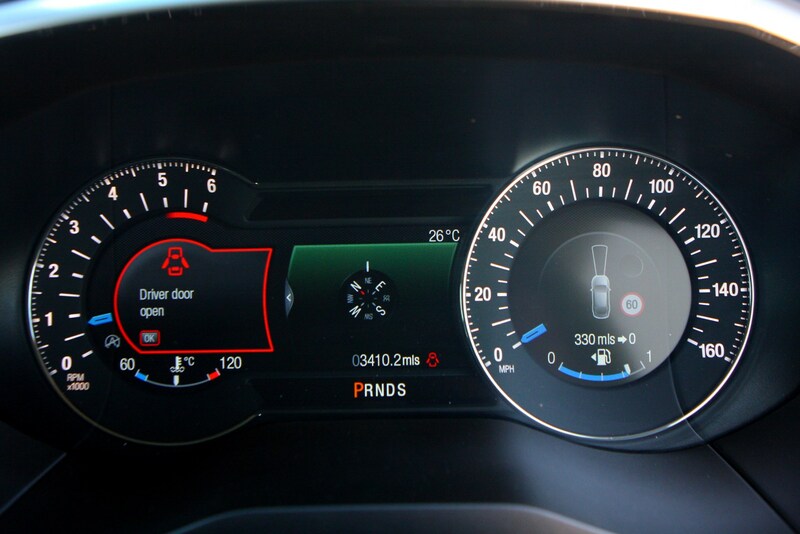 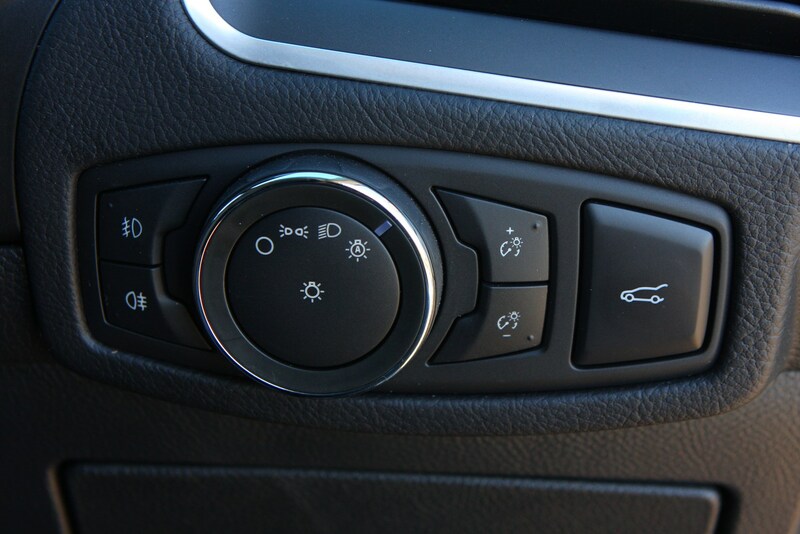 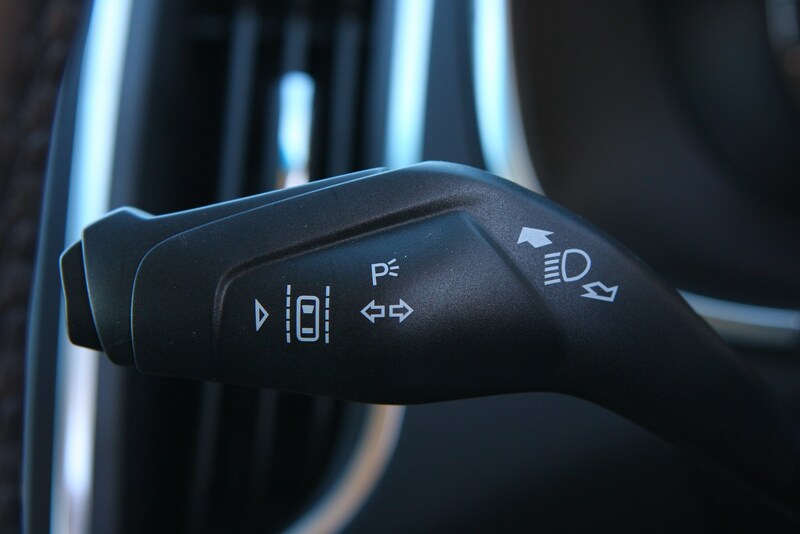 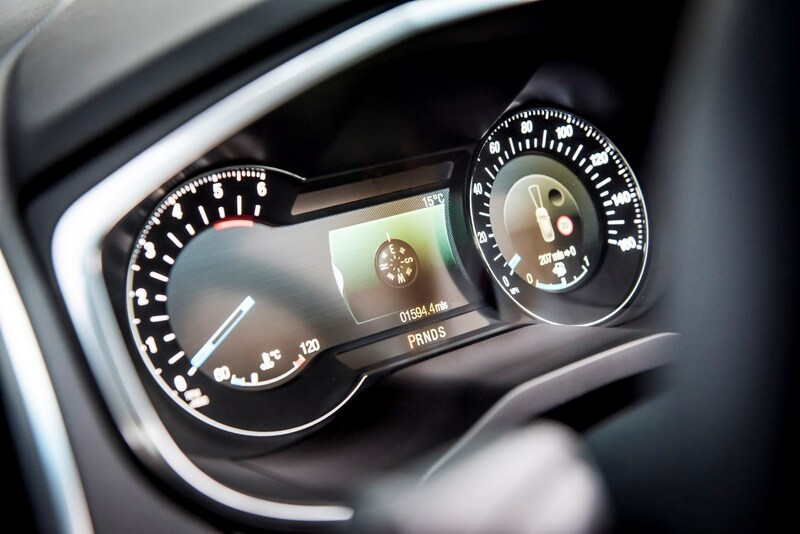 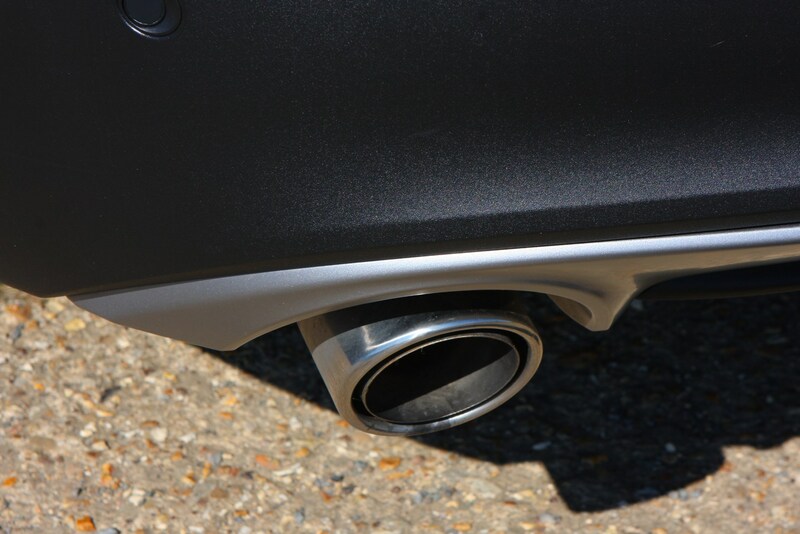 Depending on wheel size, CO2 emissions vary between 149-152g/km, with fuel efficiency quoted at between 47.9-48.7mpg. 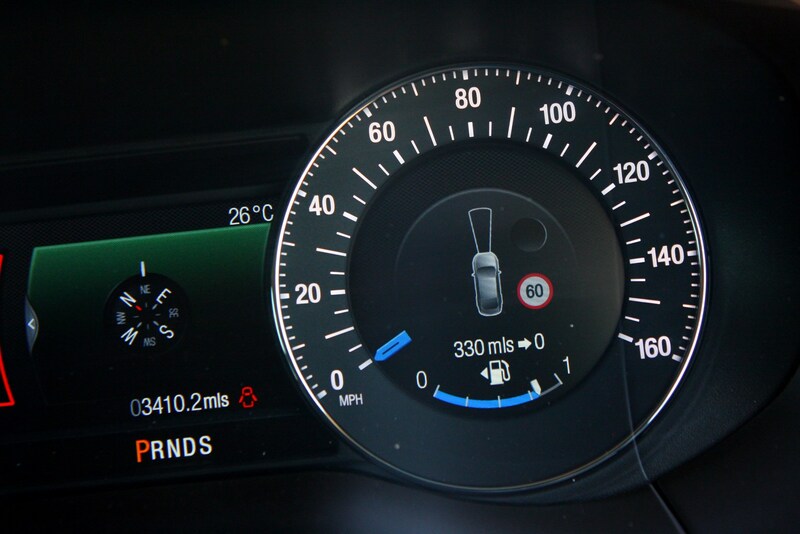 All Edges just dip under the 10-second 0-62mph acceleration benchmark time. 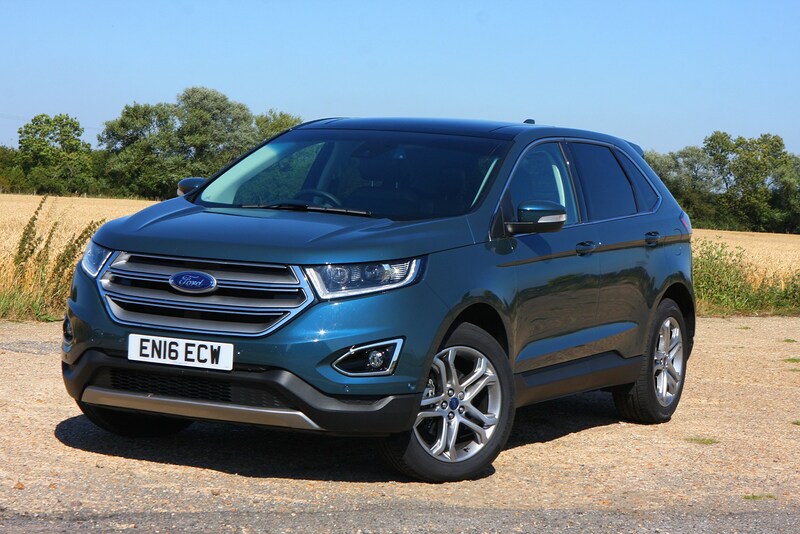 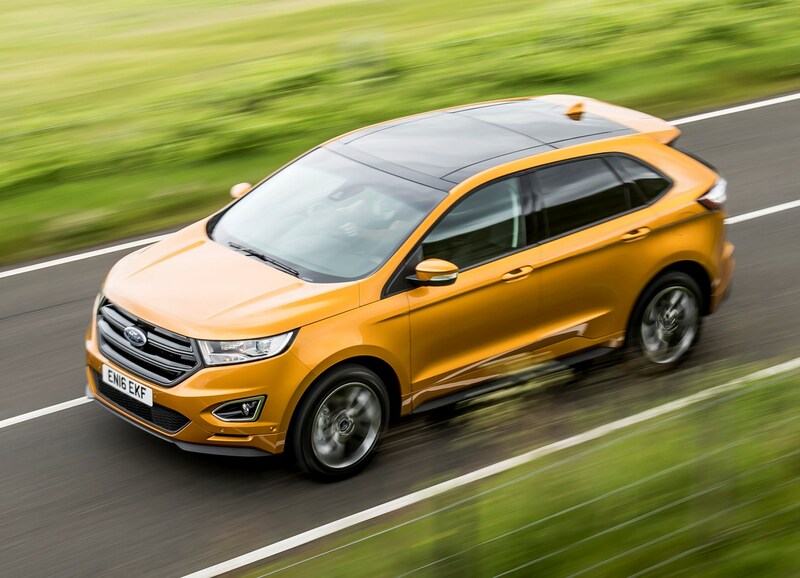 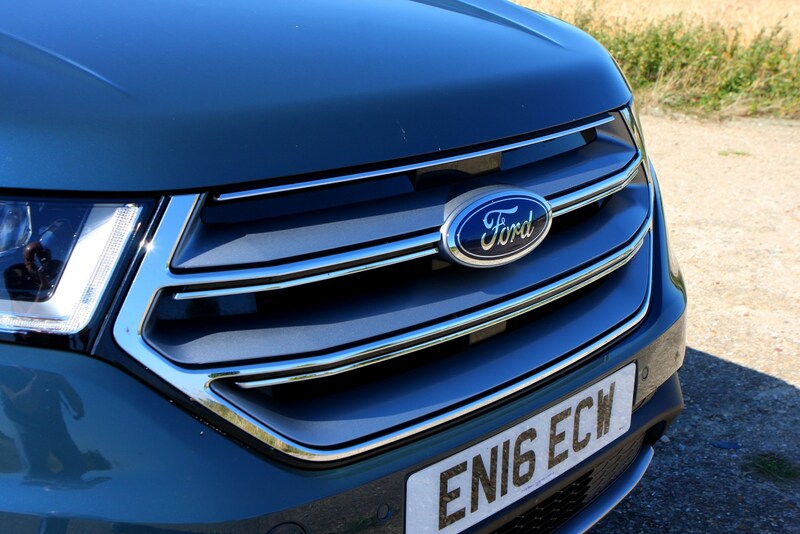 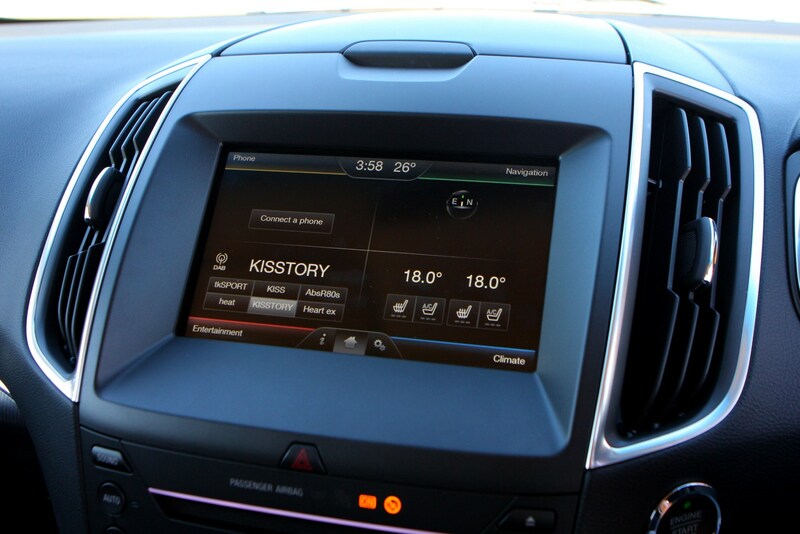 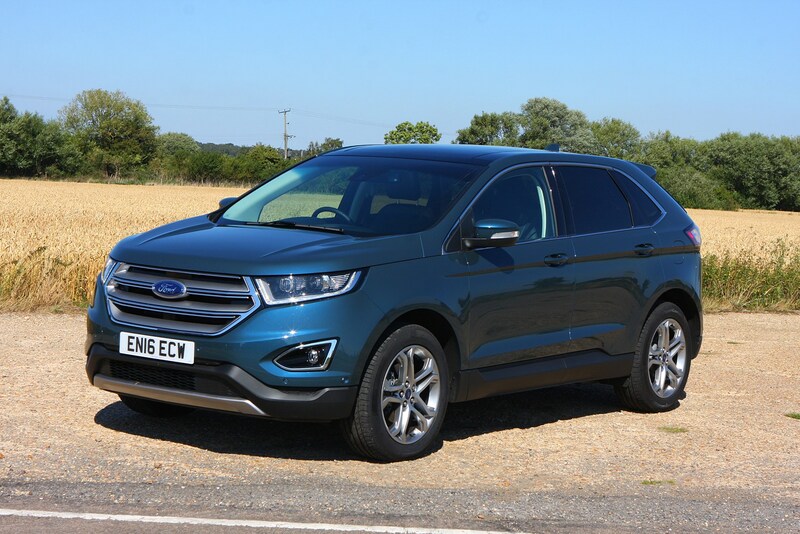 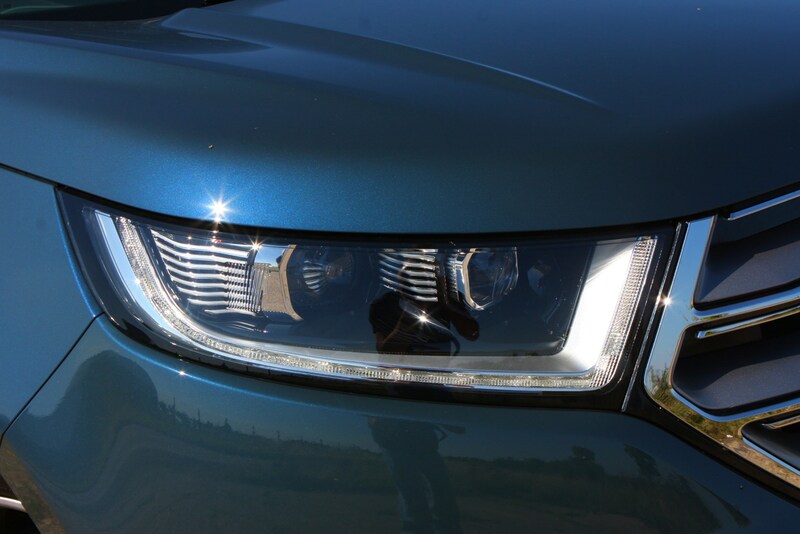 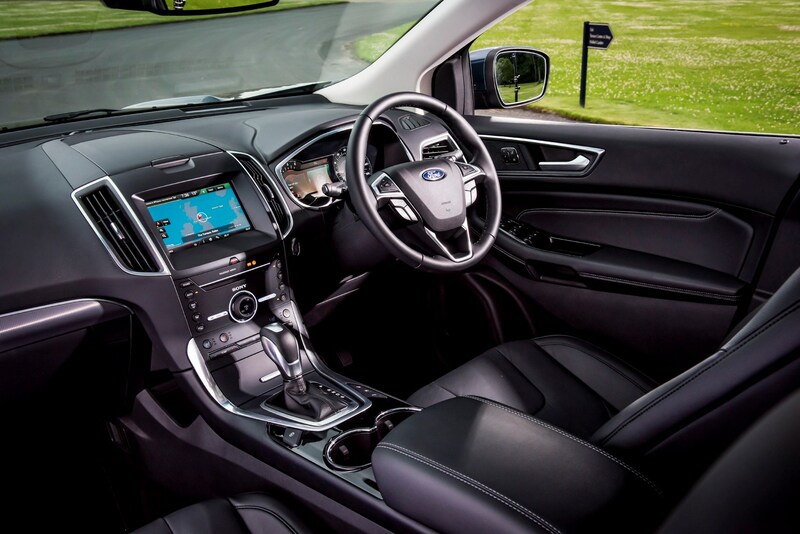 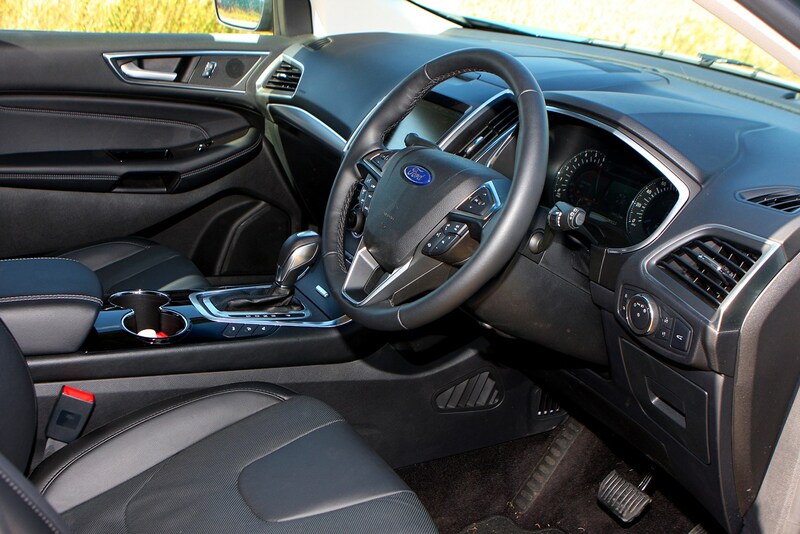 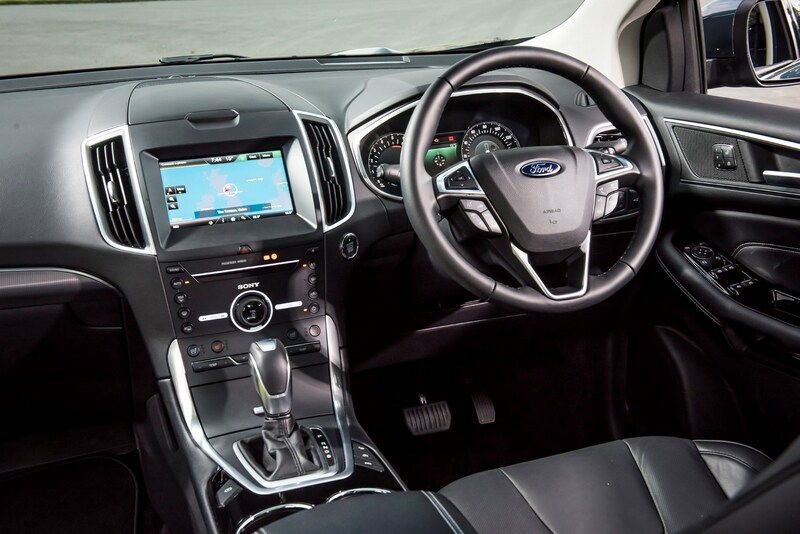 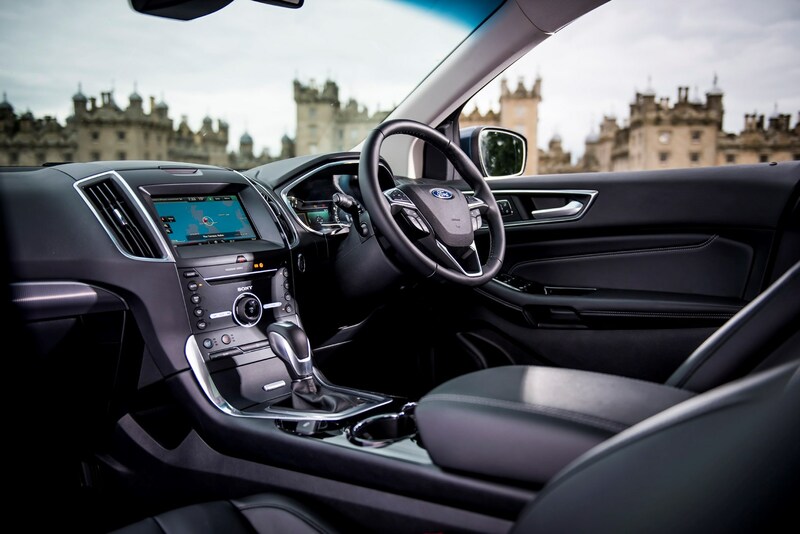 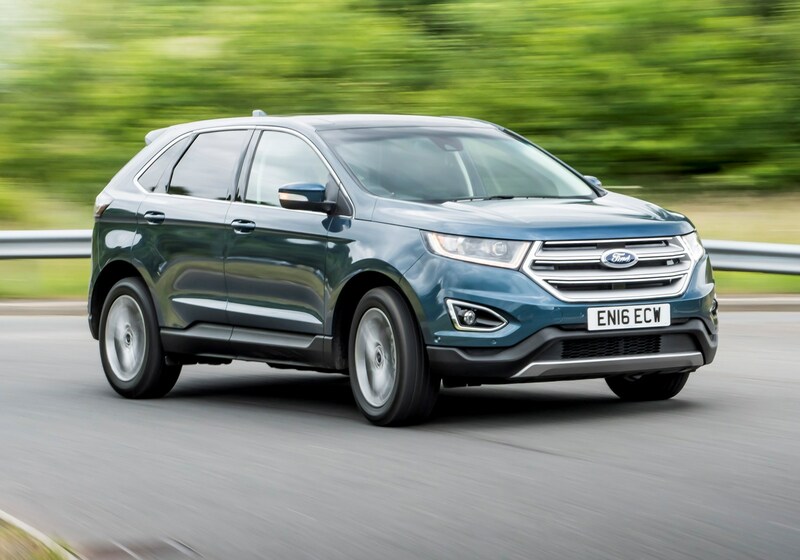 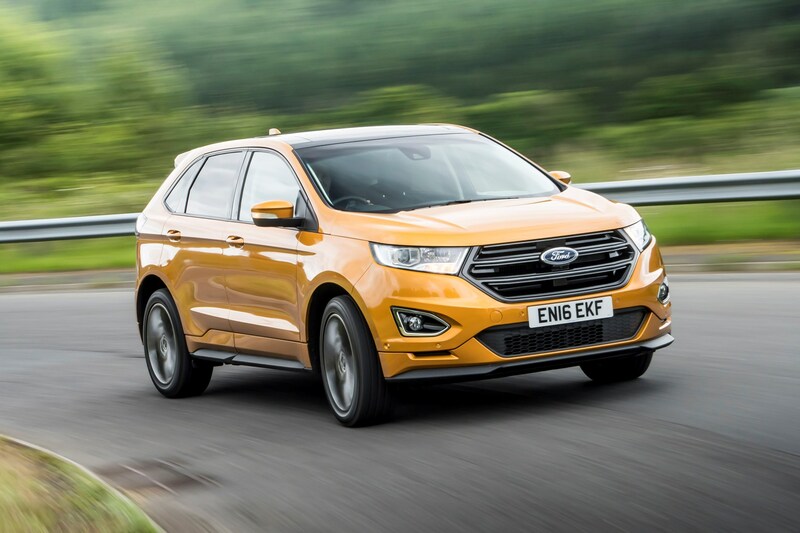 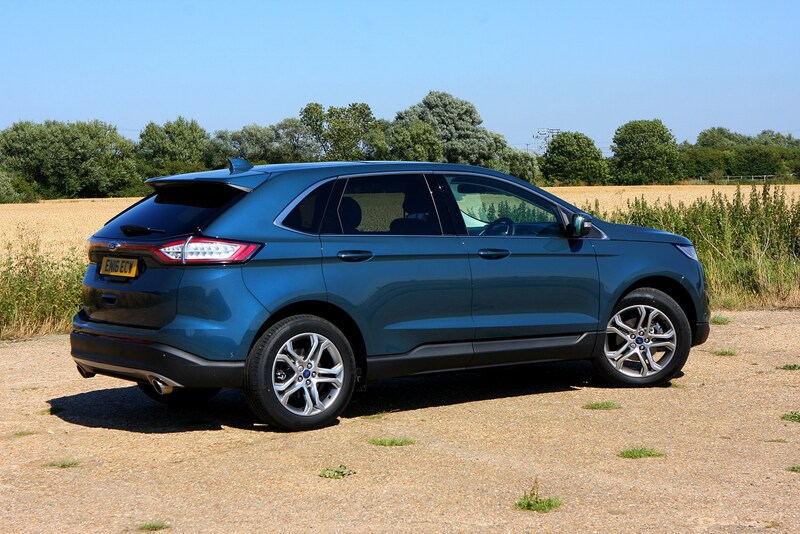 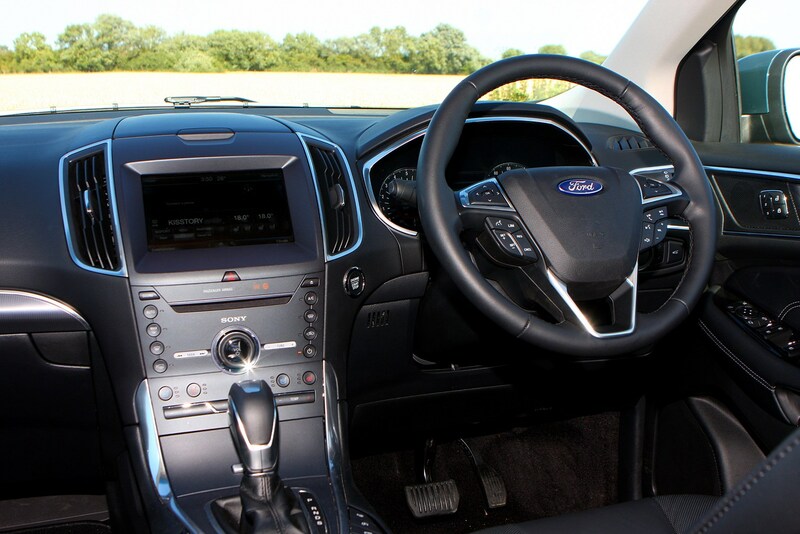 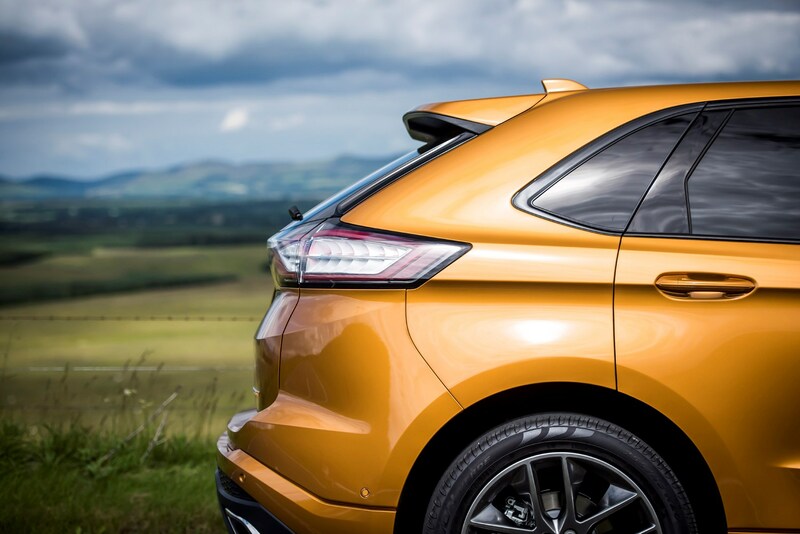 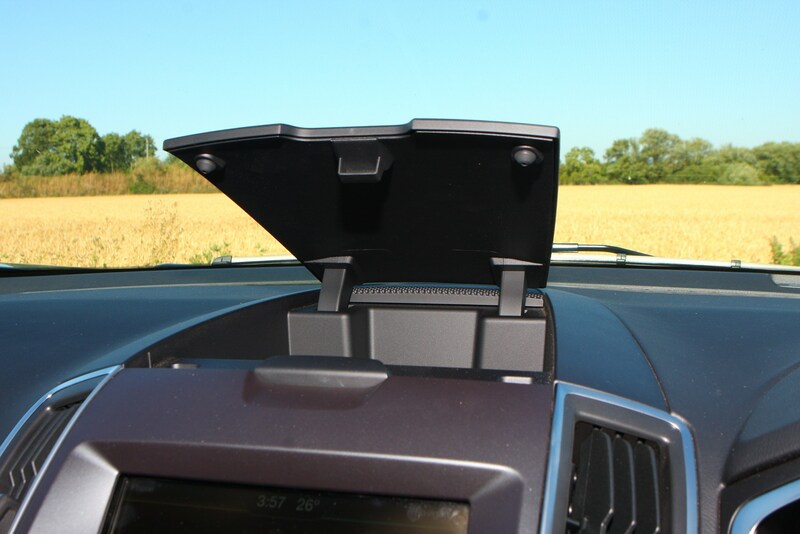 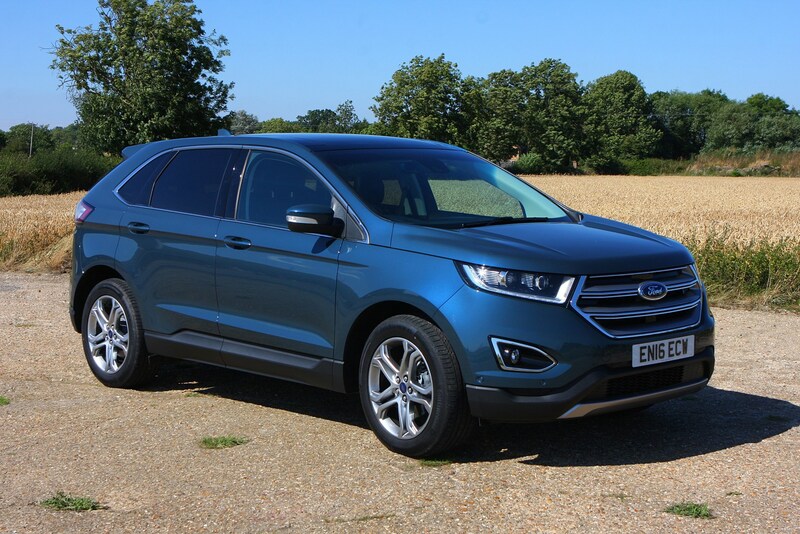 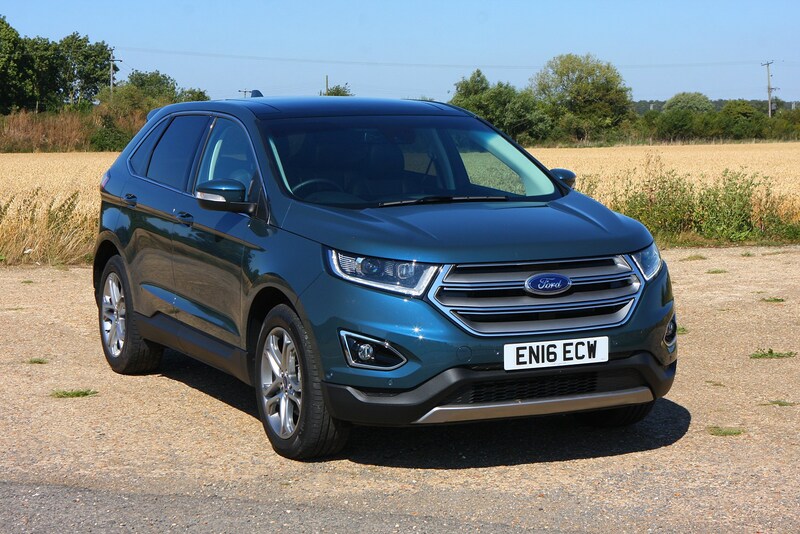 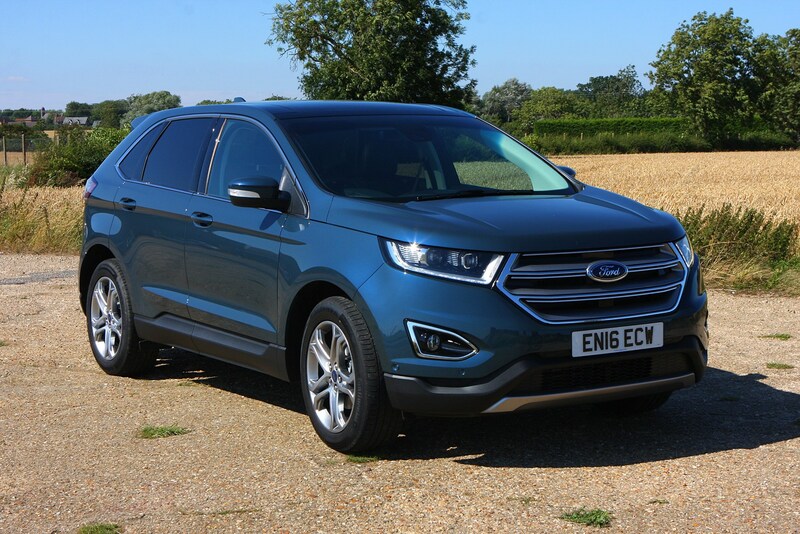 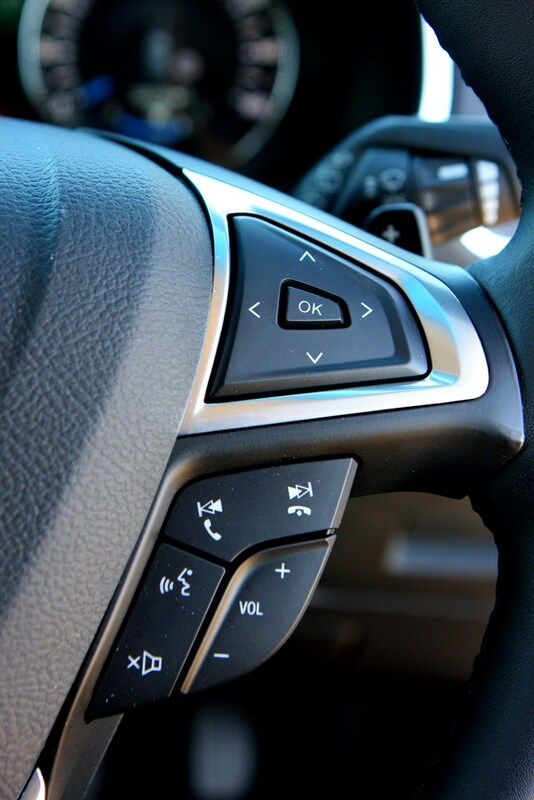 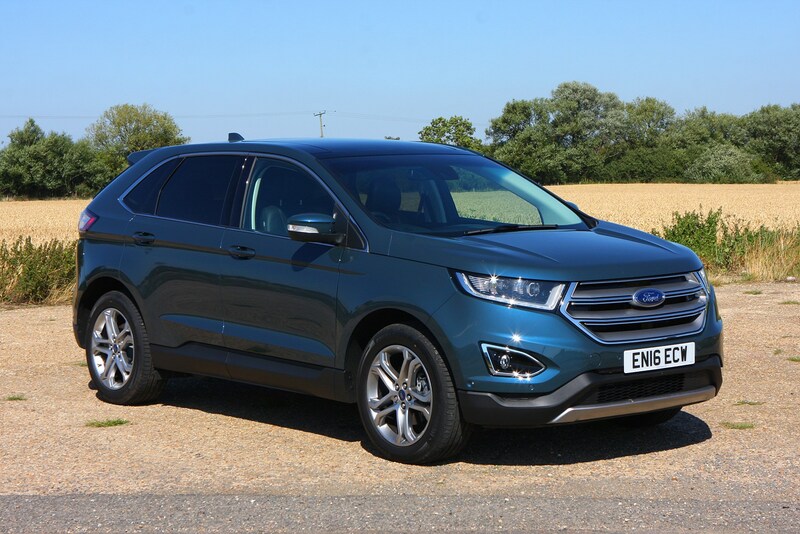 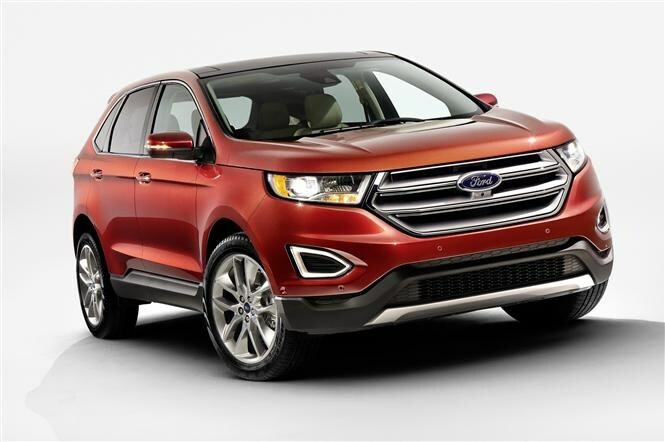 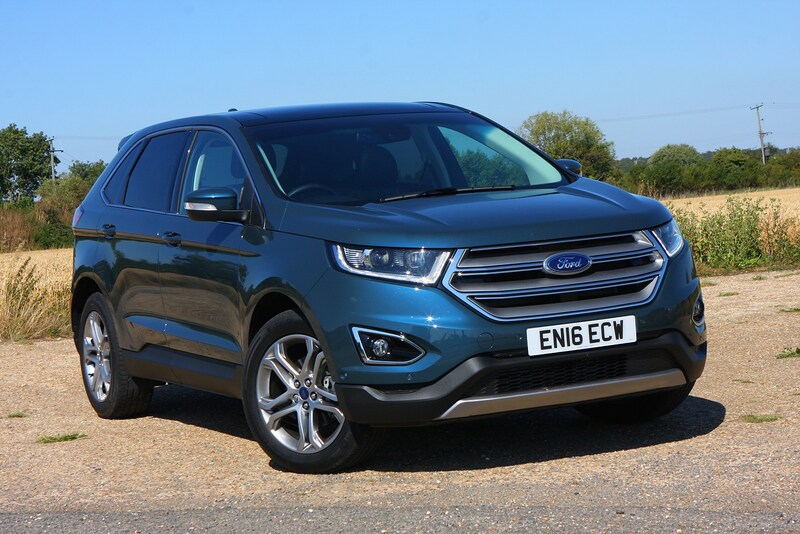 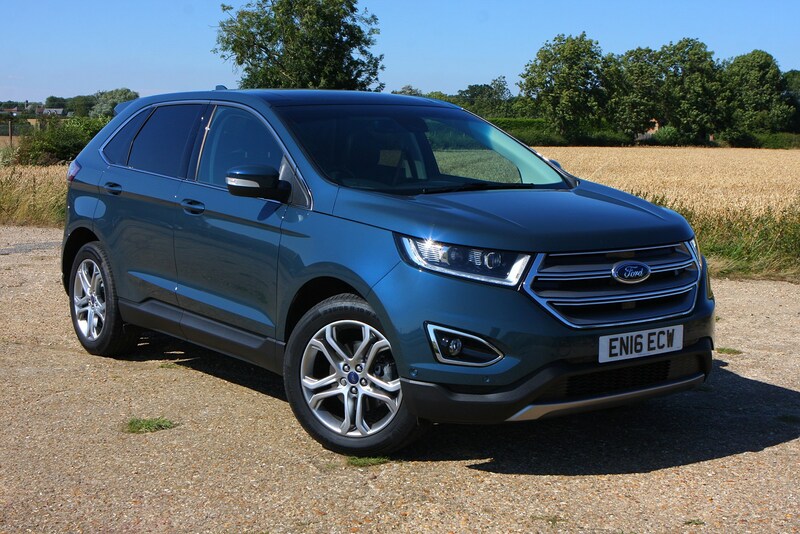 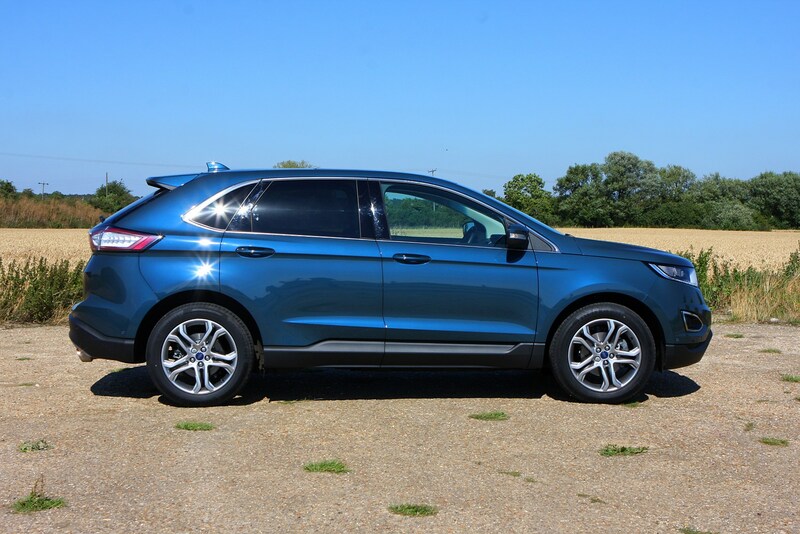 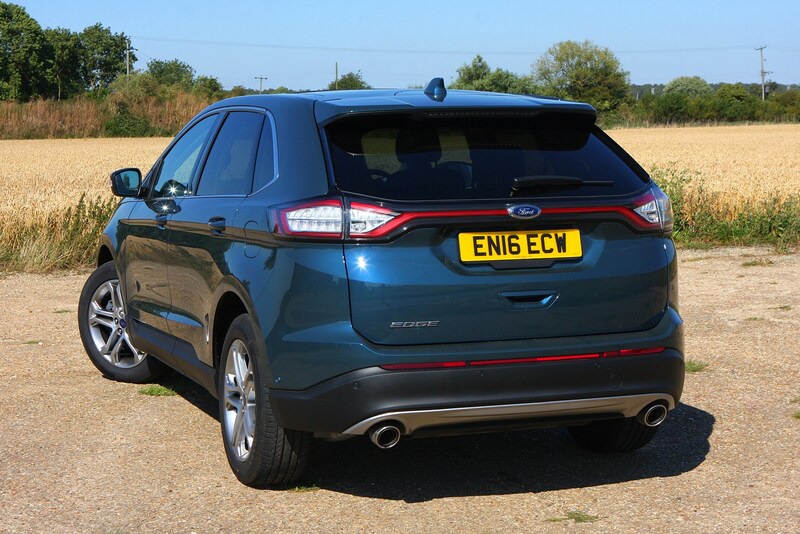 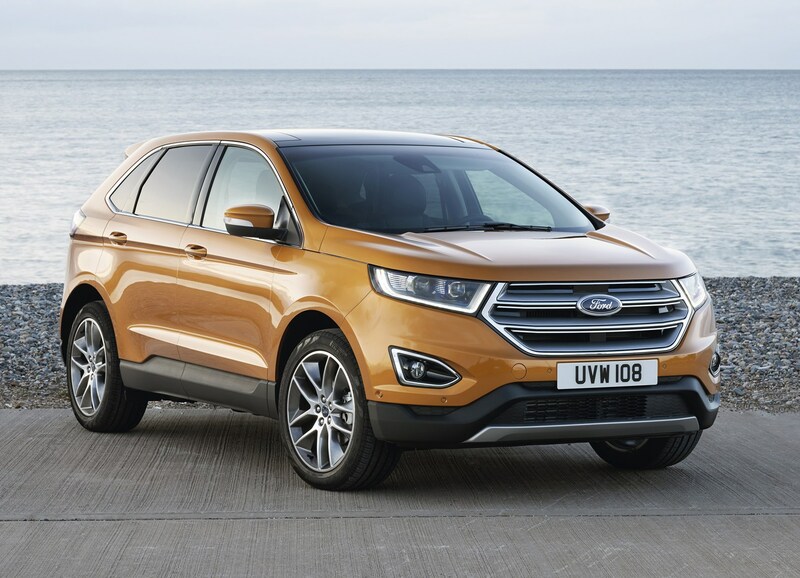 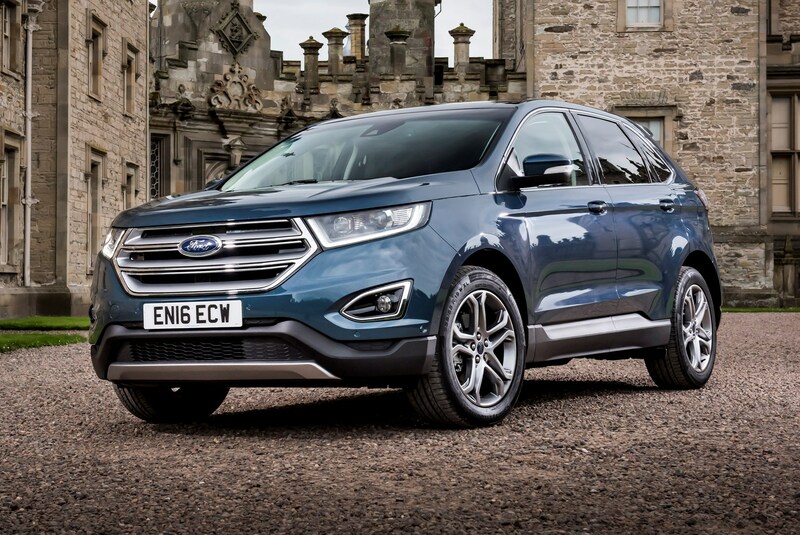 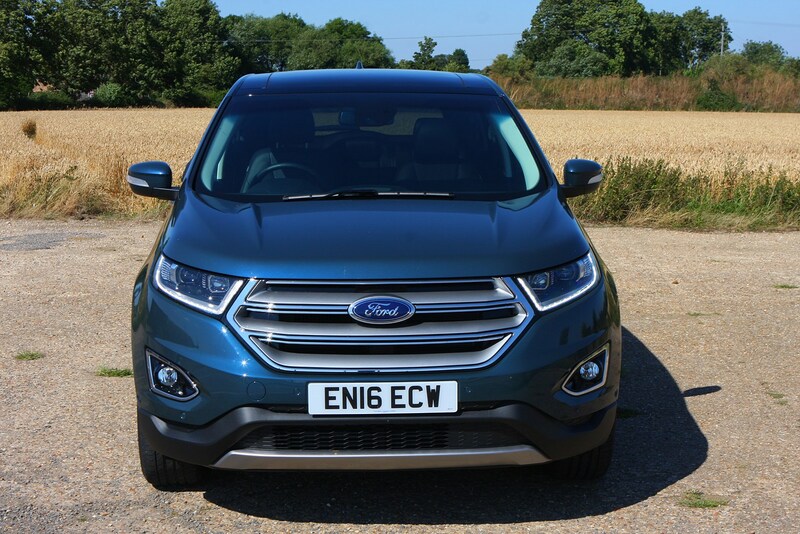 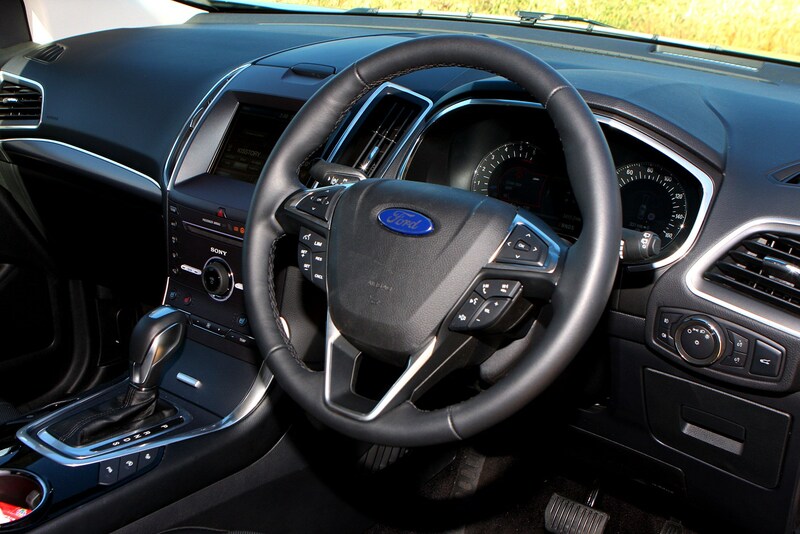 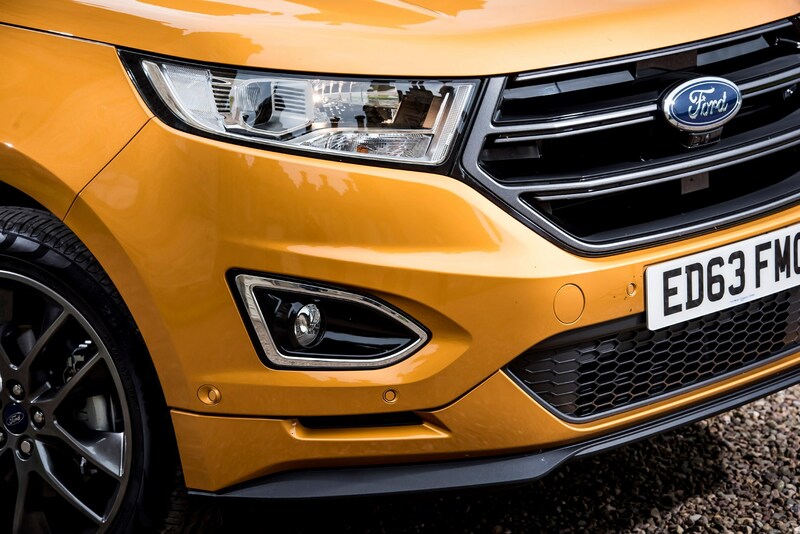 Compared with other Fords, the Edge's range structure is pleasingly straightforward. 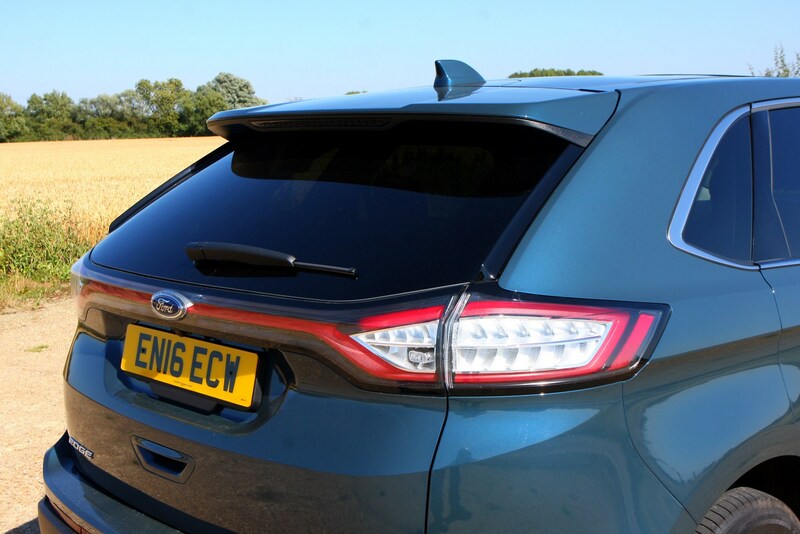 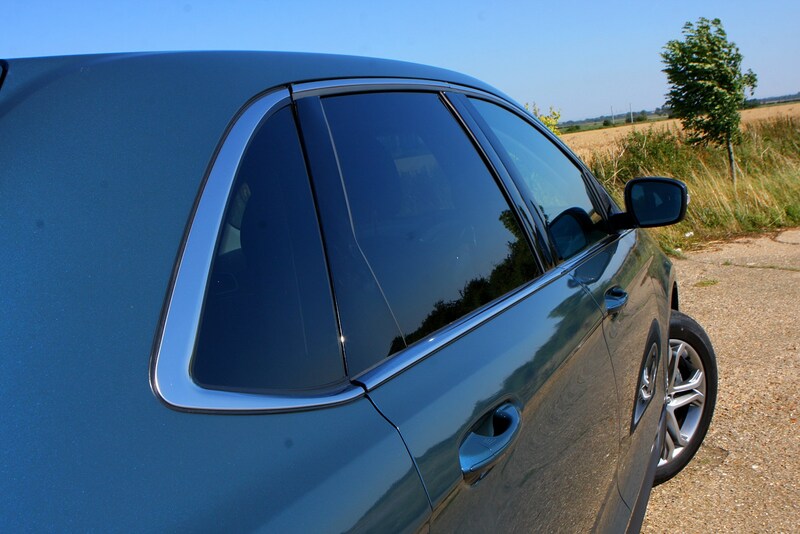 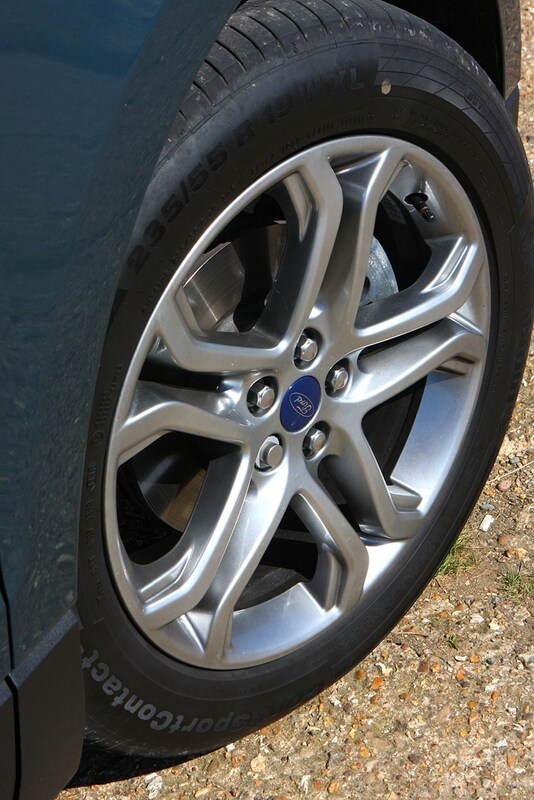 From its arrival in the UK in early 2016, the base Zetec spec included 19-inch alloy wheels, a DAB radio, tinted windows, a lane-keeping aid, rear-view camera, powered bootlid and a host of other useful kit, although this entry-level version was discontinued at the start of 2018. 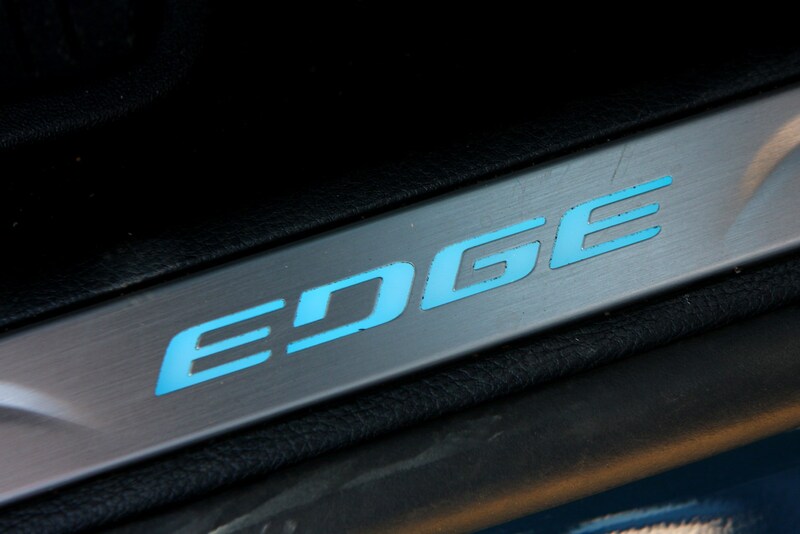 At that point, the former mid-range Titanium became the entry point to the range, with a leather lined Vignale featuring extra chromework and a mesh grille reaching showrooms by autumn 2016. 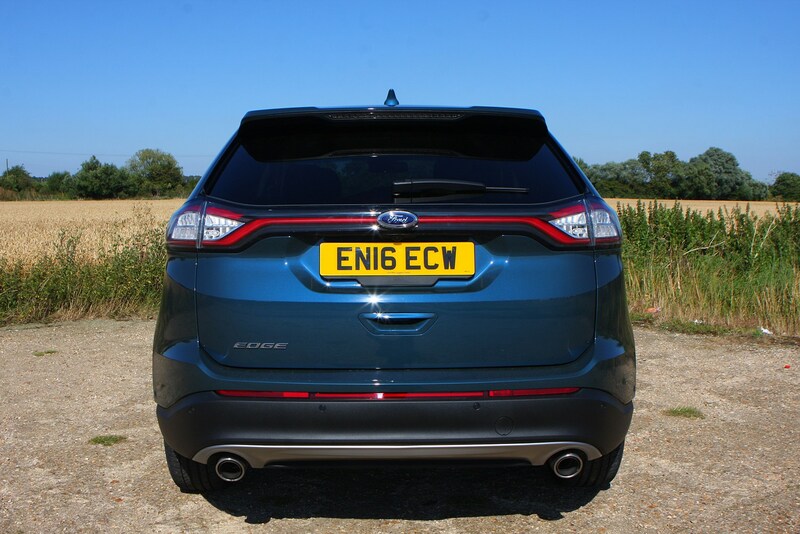 For those looking for something more aggressive - with less chrome-look trim and more body-coloured addenda - the Edge Sport fitted the bill until mid-2017 when it was replaced by the ST-Line, although it's worth remembering that these versions are no faster than other models in the range. 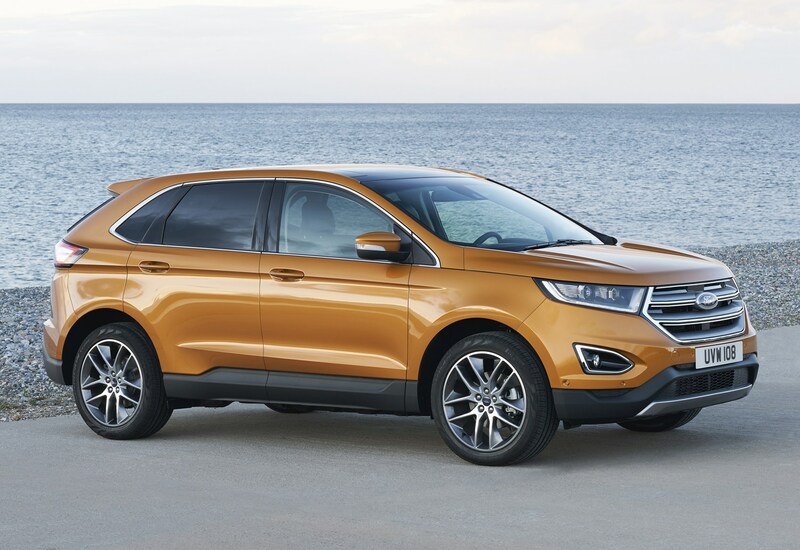 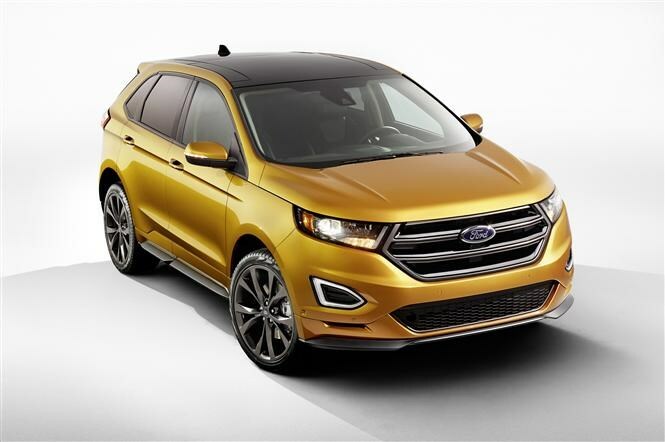 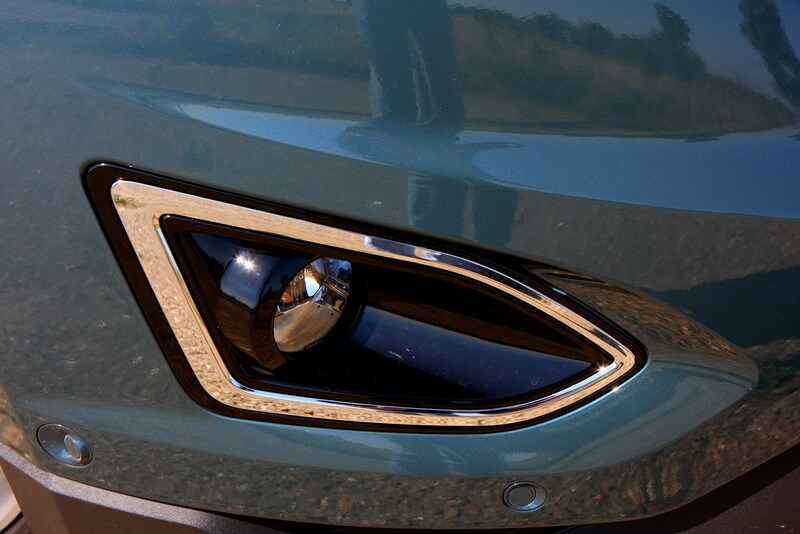 Shown early in 2018, the Edge is in line for a fairly significant facelift, although Ford has cleverly managed to complete the makeover without changing any of the bodywork save for the plastic bumpers and trim pieces. 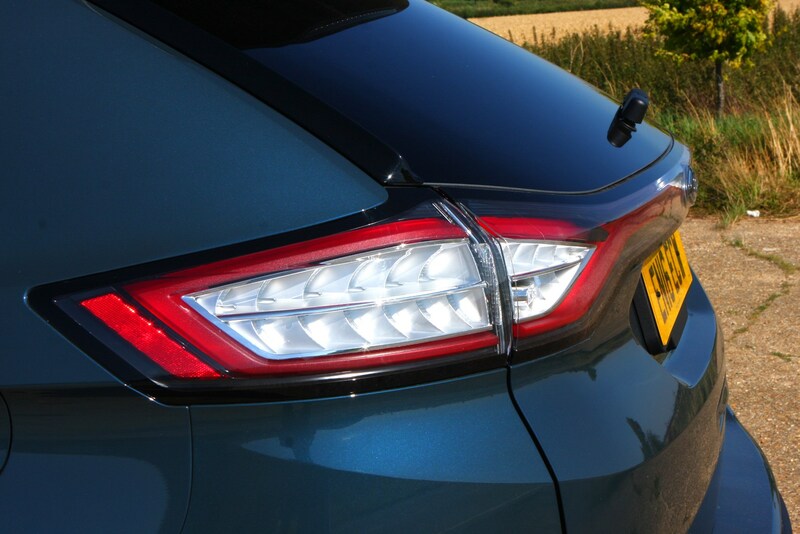 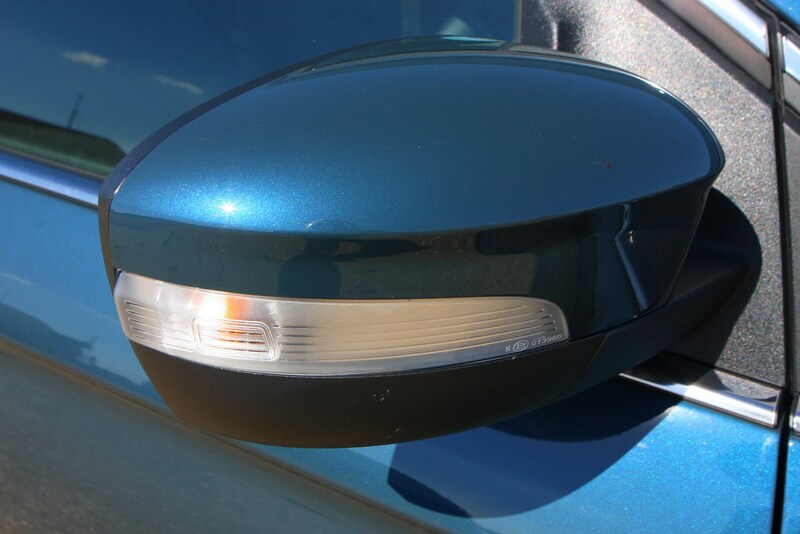 Up front are more aggressive, shallower headlamps flanking a narrower, but wider grille, while the rear end has lost its distinctive full-width tail lamp in favour of a more compact design with gloss black elements. 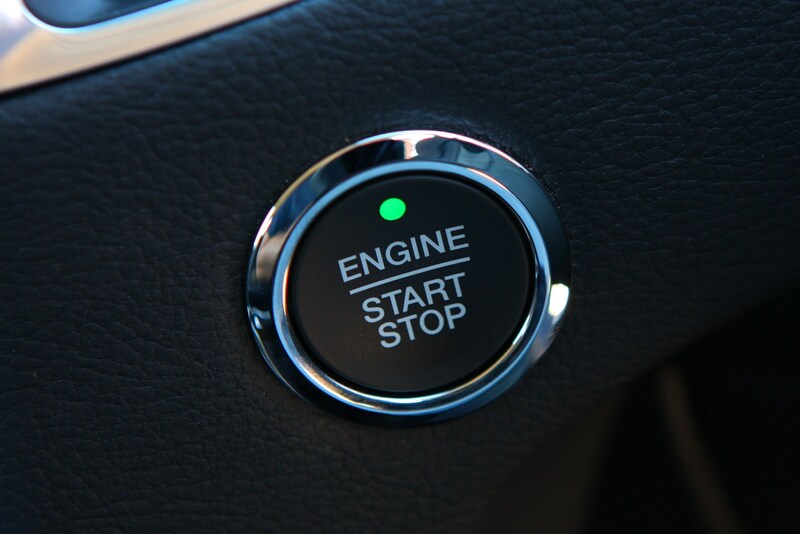 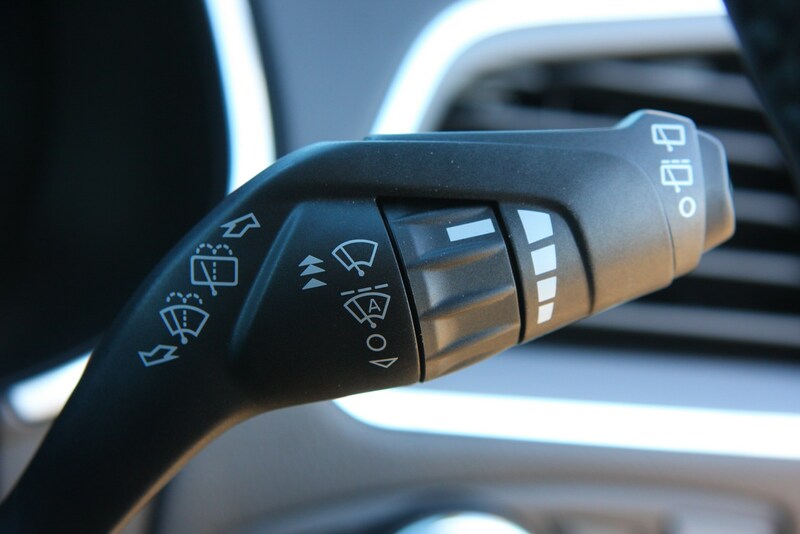 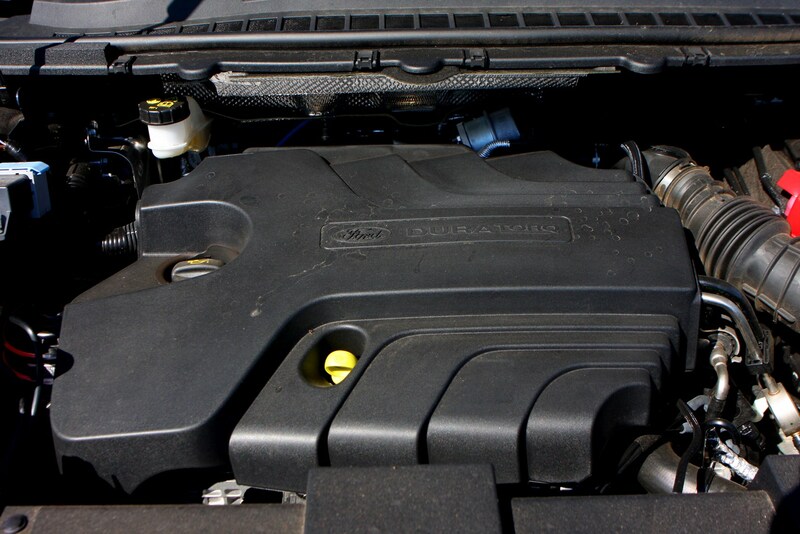 Mechanical changes include three 2.0-litre diesel engines with 150hp, 190hp and an EcoBlue range-topper with 238hp. 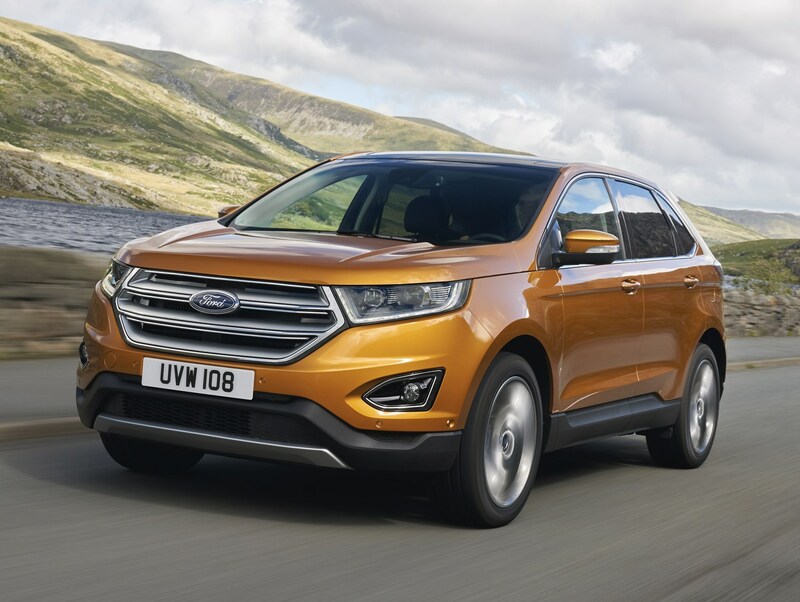 Orders in the UK will open in autumn 2018, with first deliveries in early 2019. 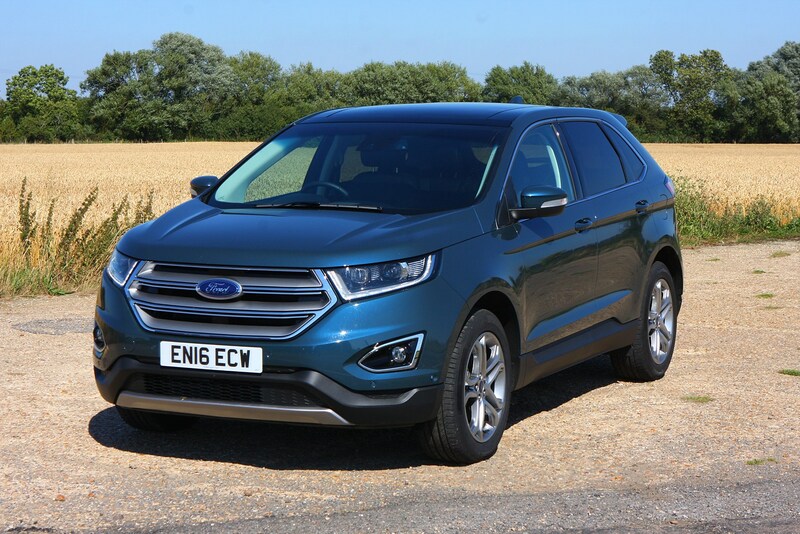 While there's no doubt that the Edge has tapped into the market's appetite for SUVs and proved the appeal of a large Ford-badged car isn't dead (albeit no longer in the form of a traditional saloon or estate like the old Scorpio), it's selling steadily rather than exceptionally well. 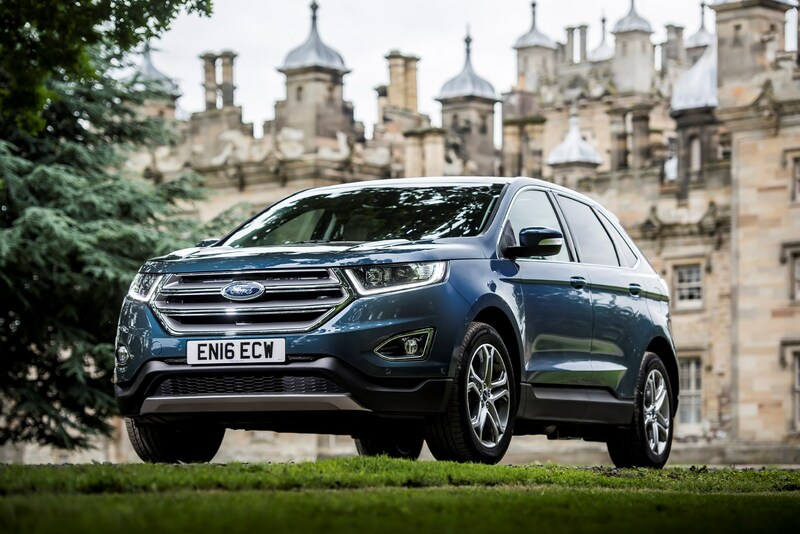 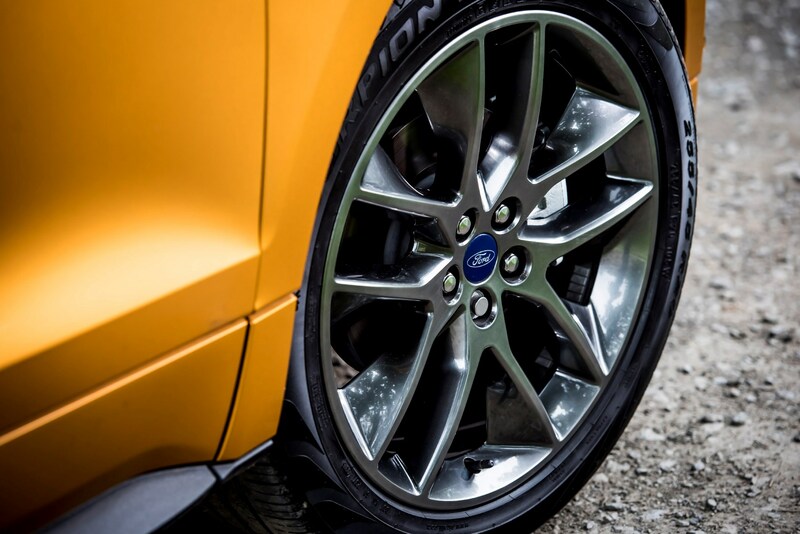 Those who have took the plunge are benefiting from strong resale values - the second-highest predicted used value of any Ford after the Focus RS - which suggests it's a sound second-hand buy. 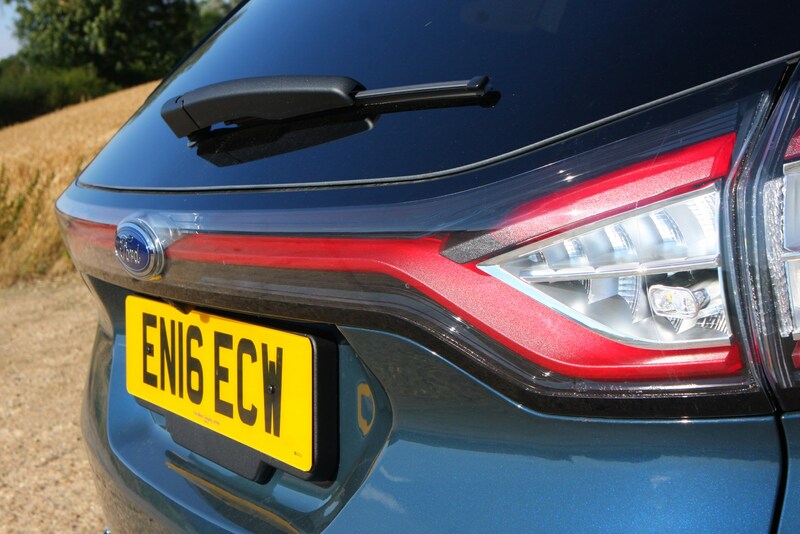 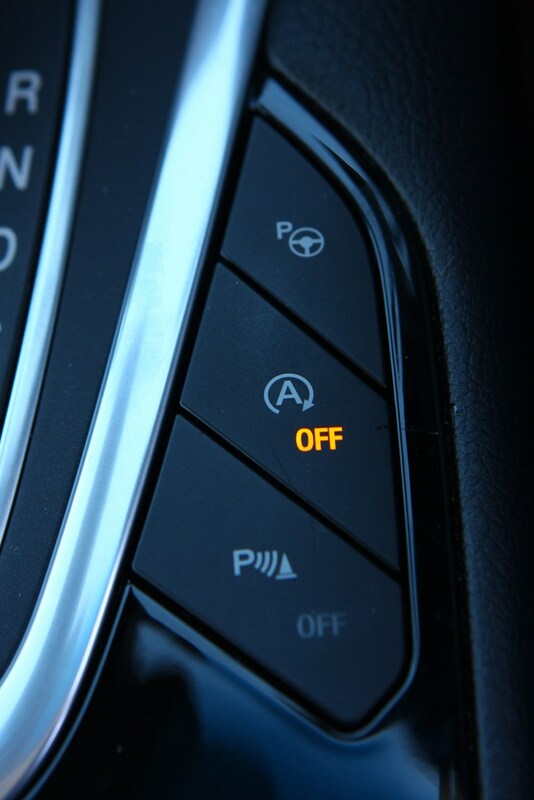 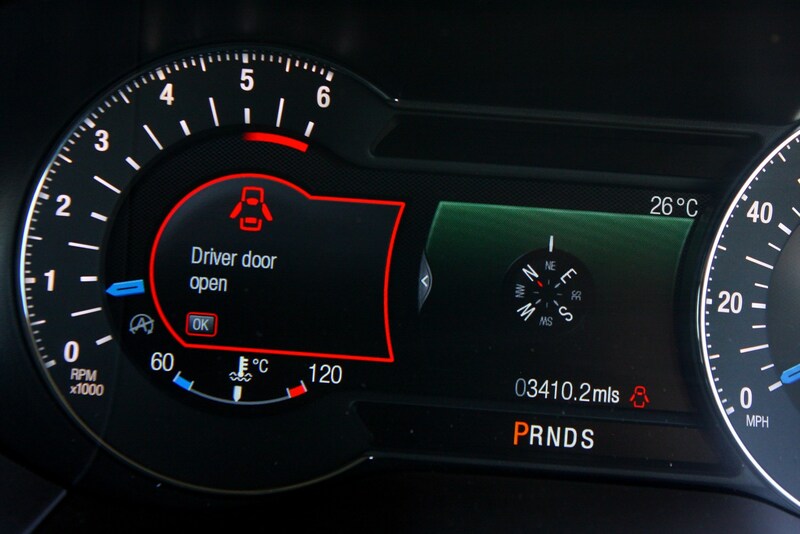 Strong residual values are not only good for those who buy their car outright, as they should recoup a greater proportion of the price of the vehicle when they come to sell, but they also cut PCP finance rates. 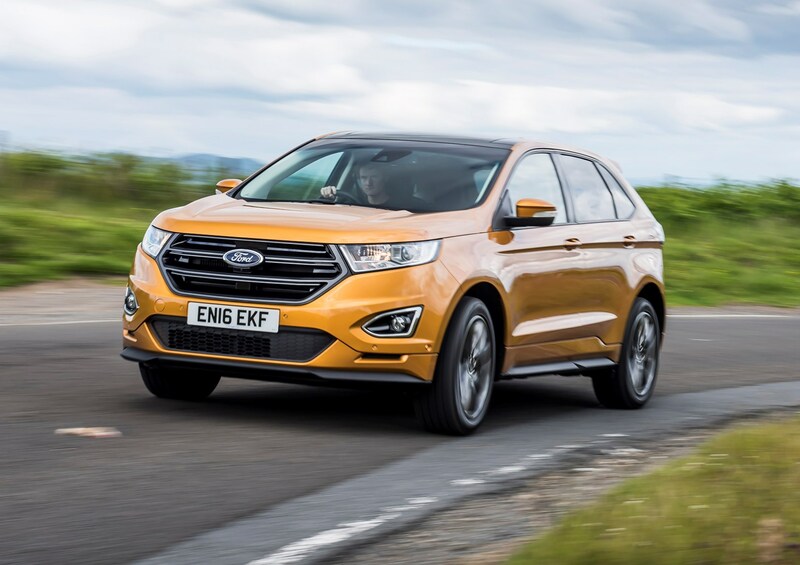 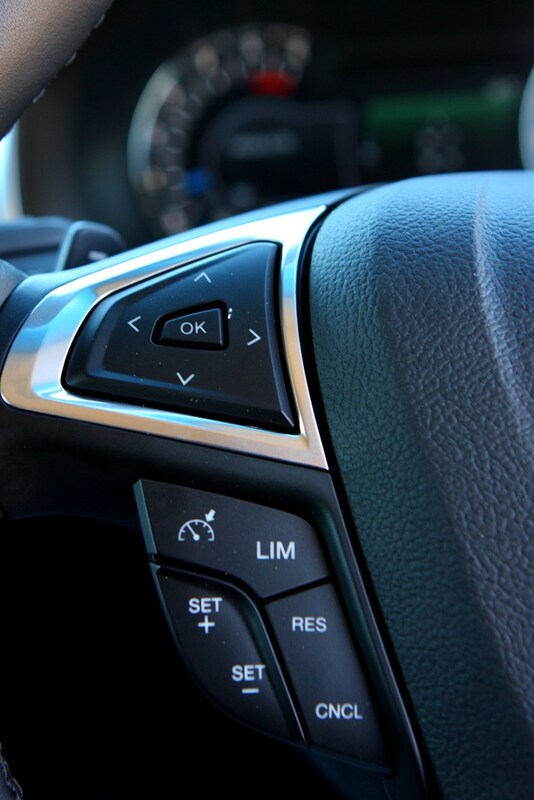 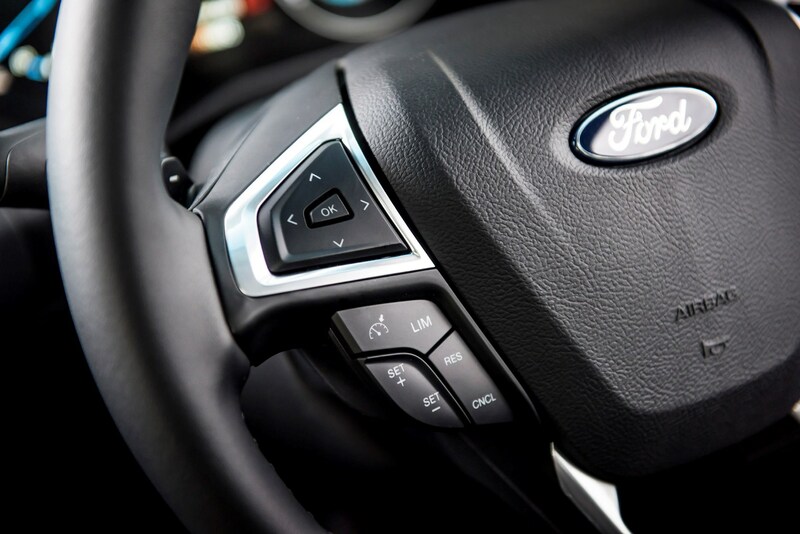 Low APR and Ford deposit contributions make the Edge even more affordable for buyers – all in a part of the market where manufacturers don't often discount their cars. 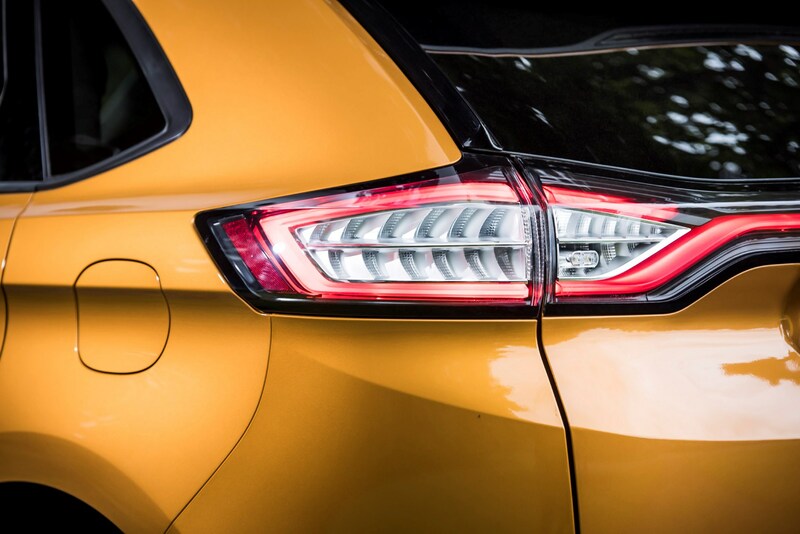 It's a slight left-field but largely satisfying choice.